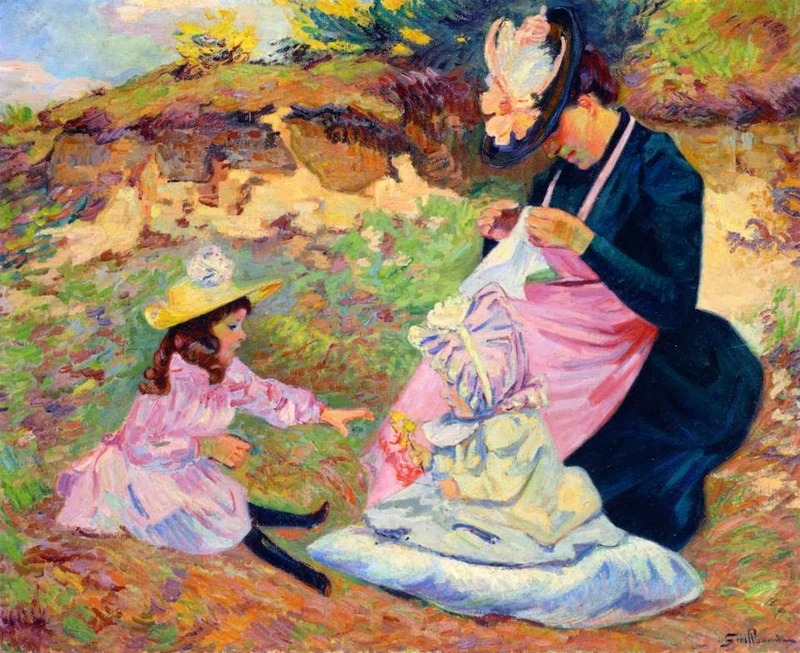 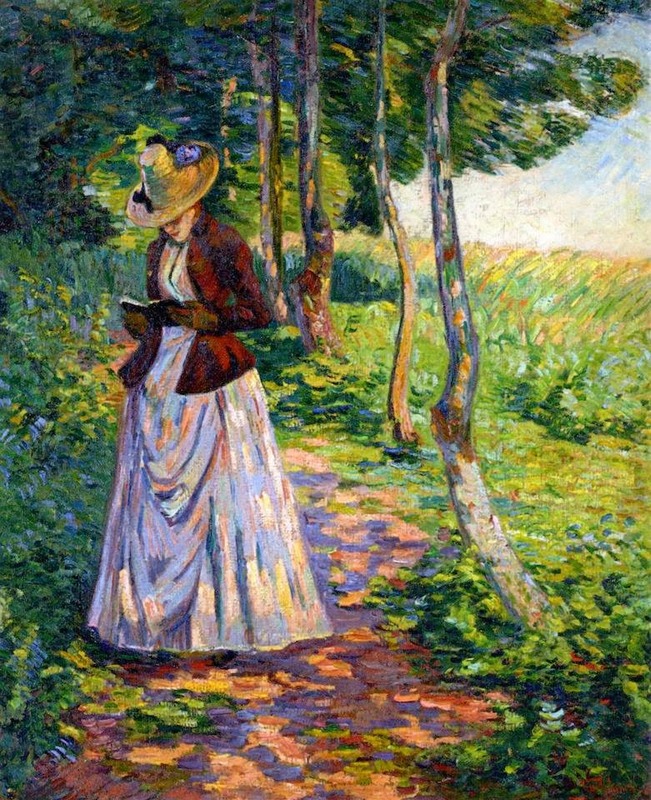 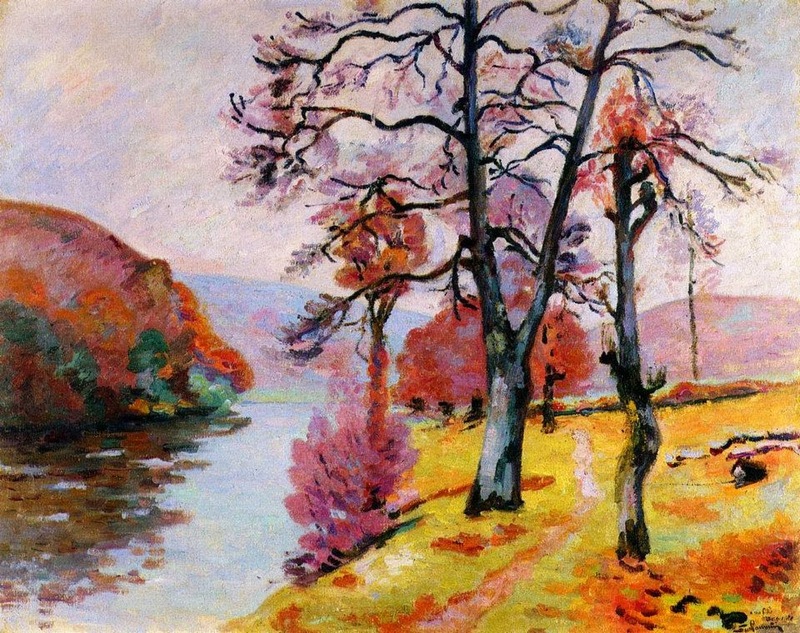 While Jean-Baptiste Armand Guillaumin (1841-1927) was an French painter, known for working in the Impressionist style⏩. 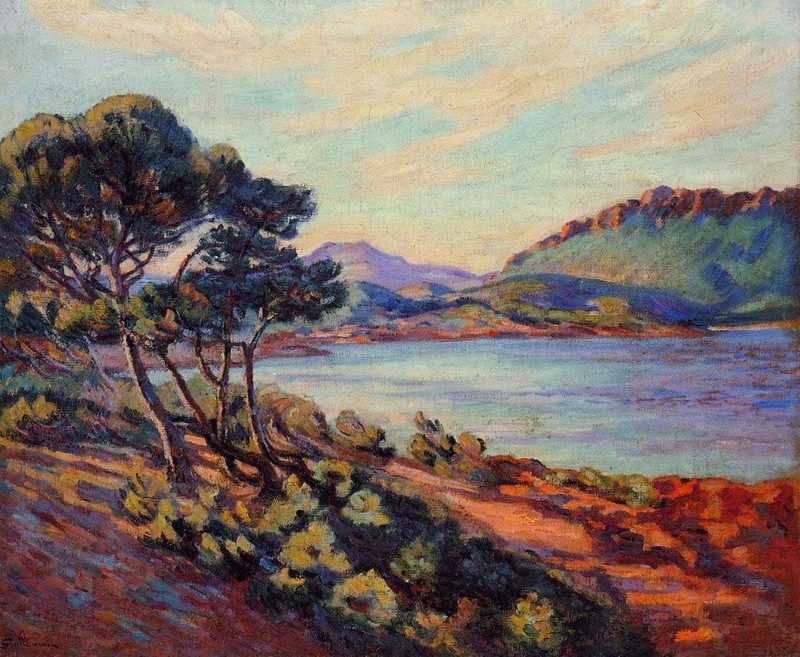 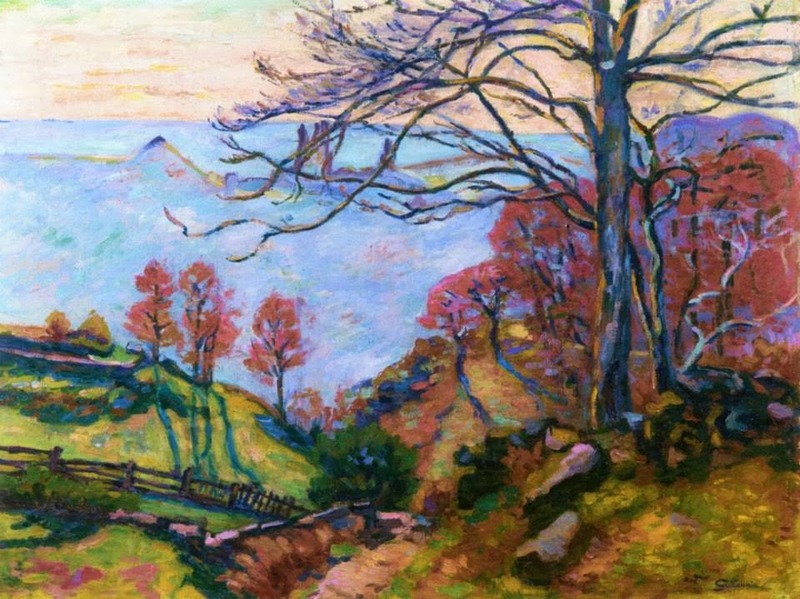 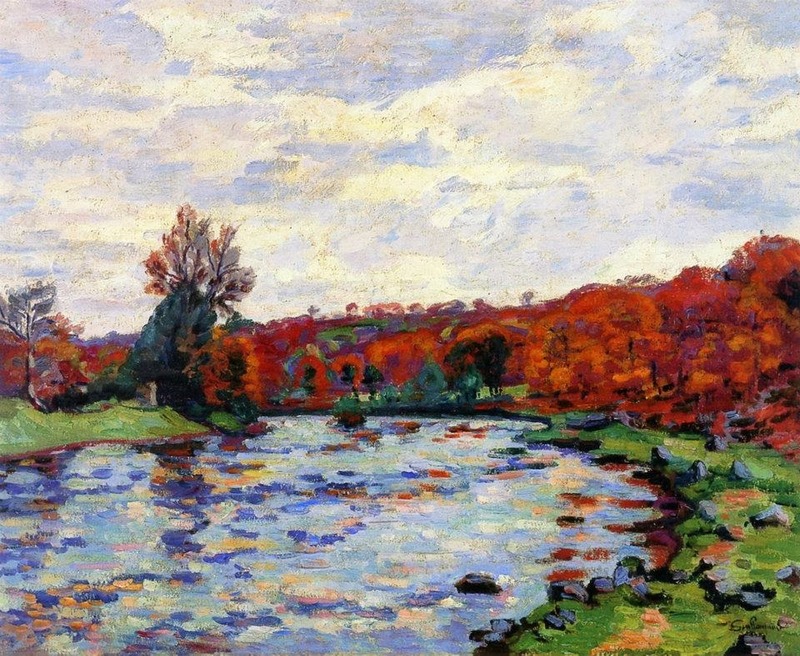 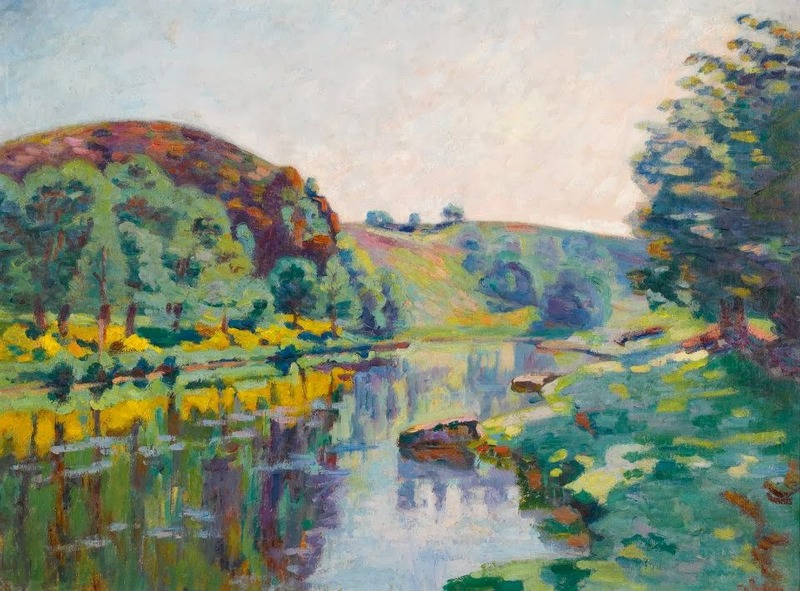 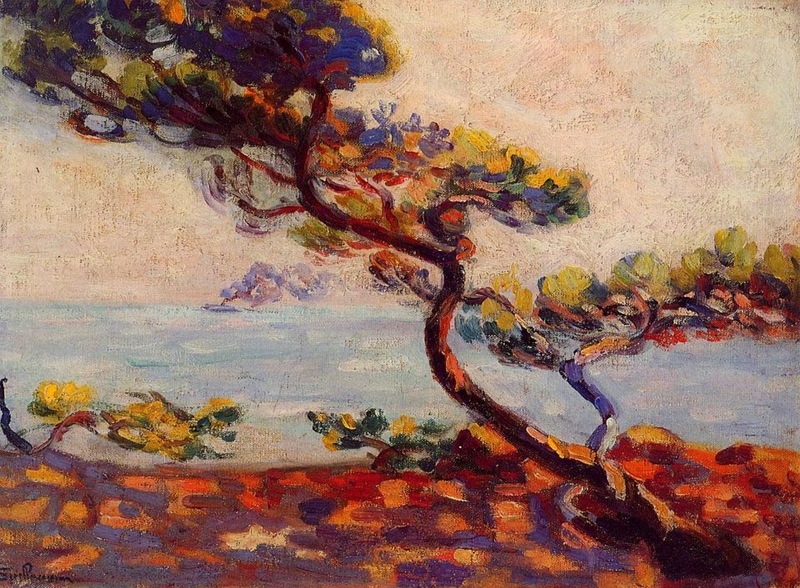 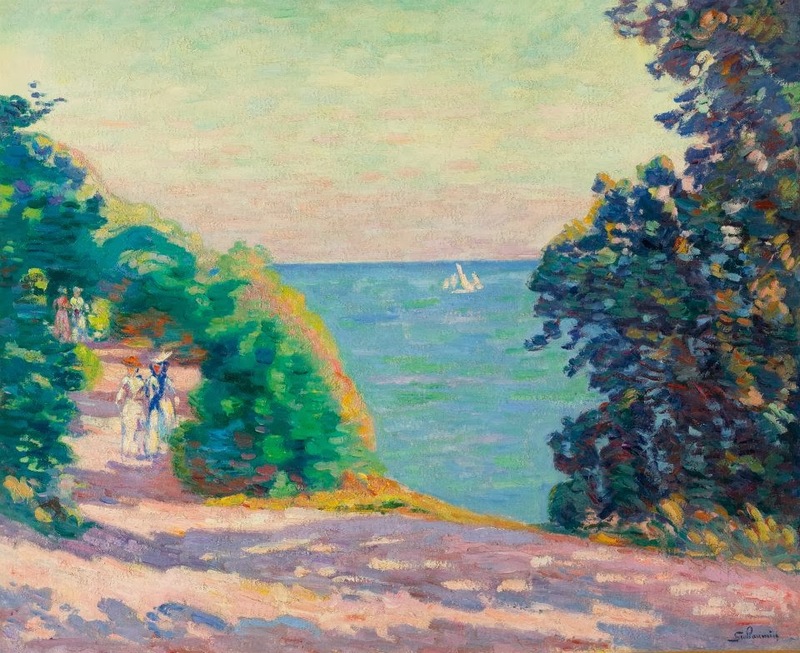 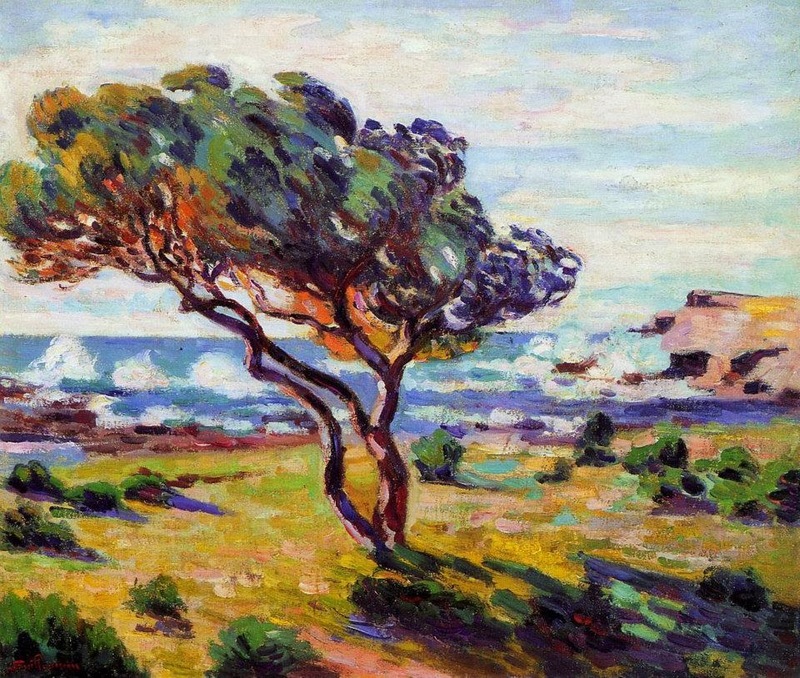 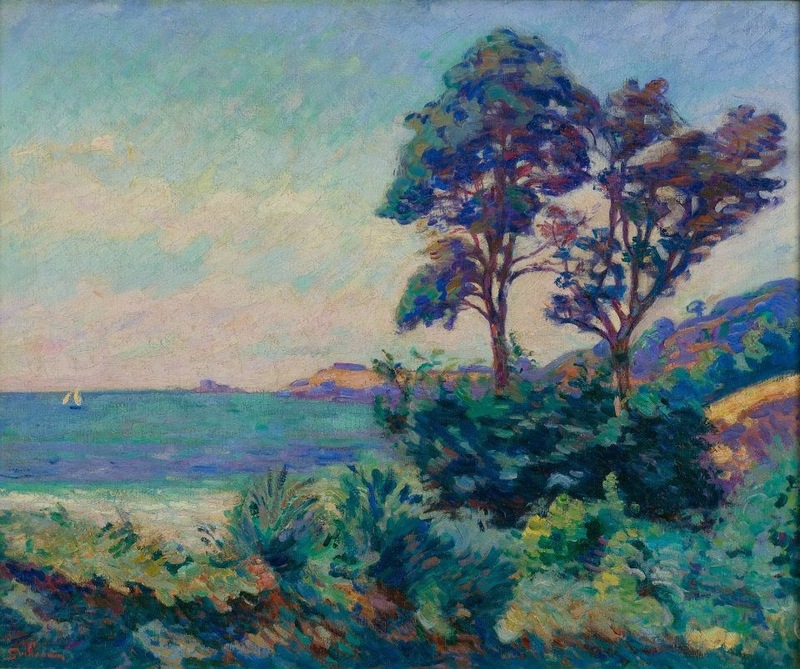 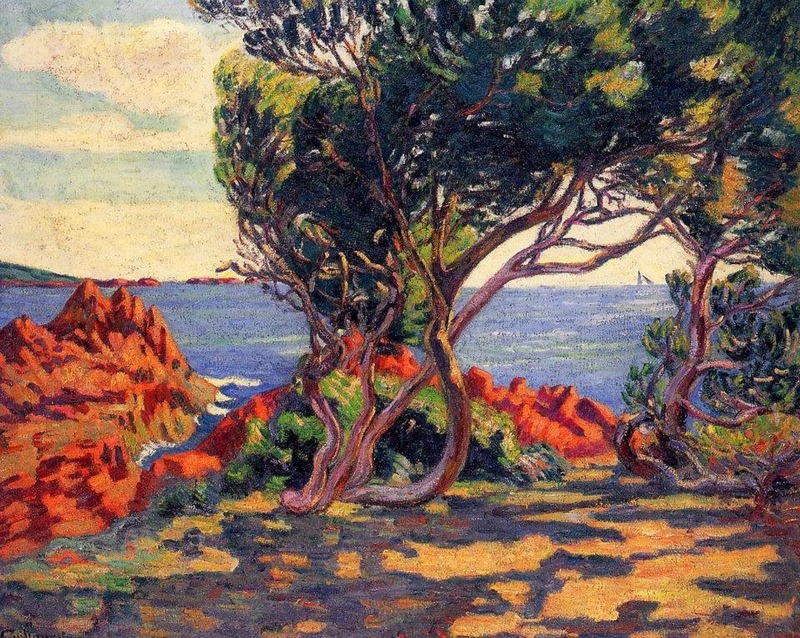 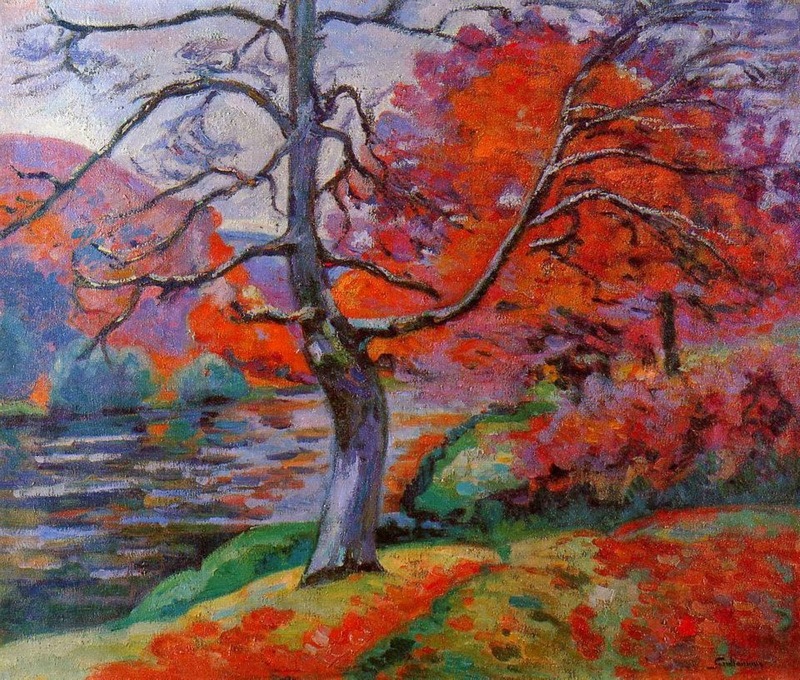 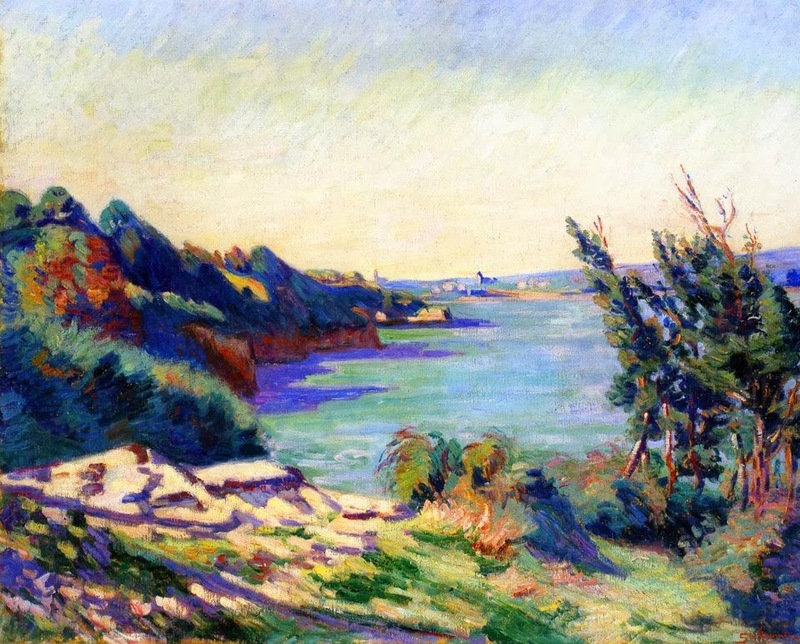 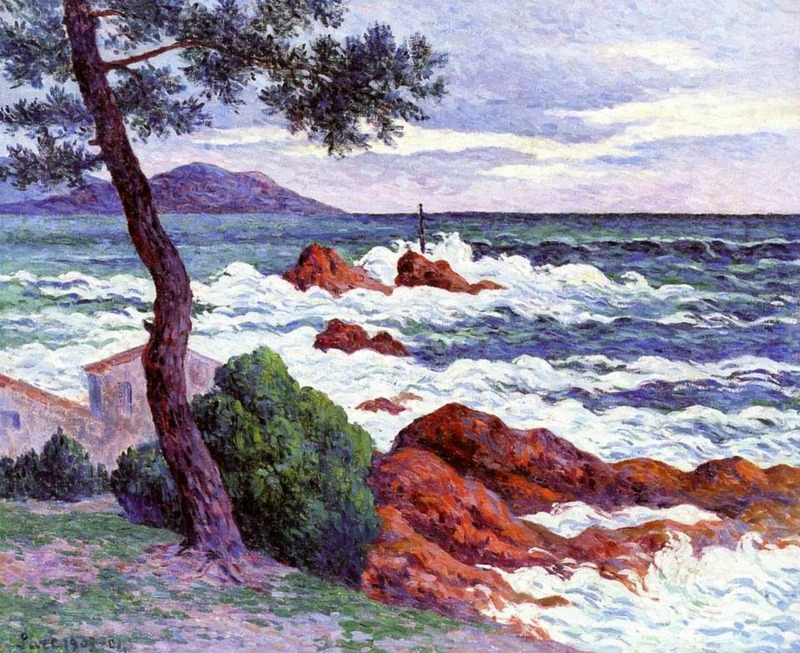 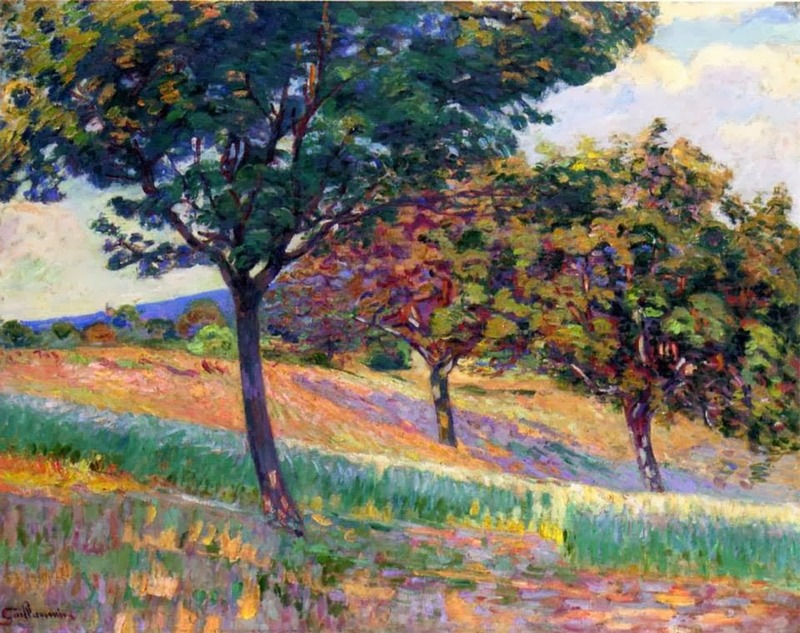 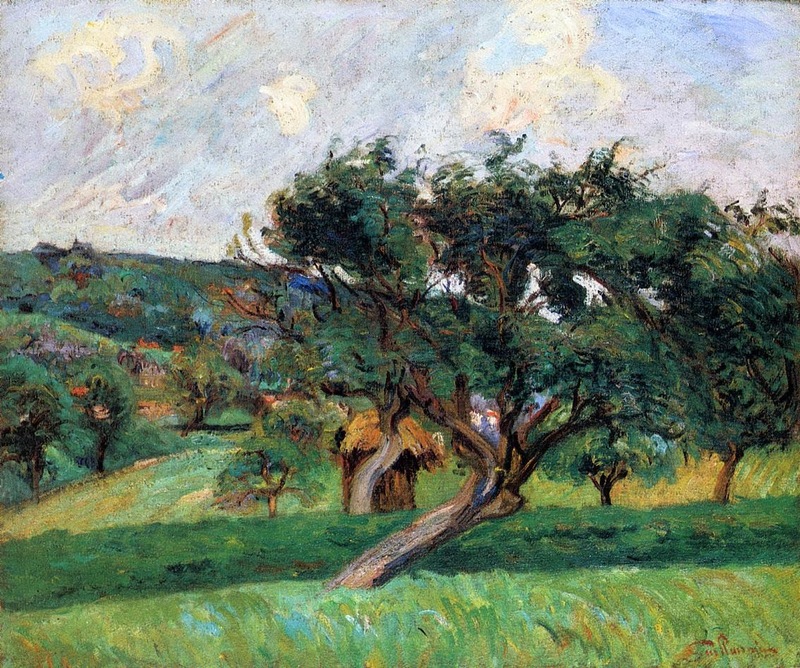 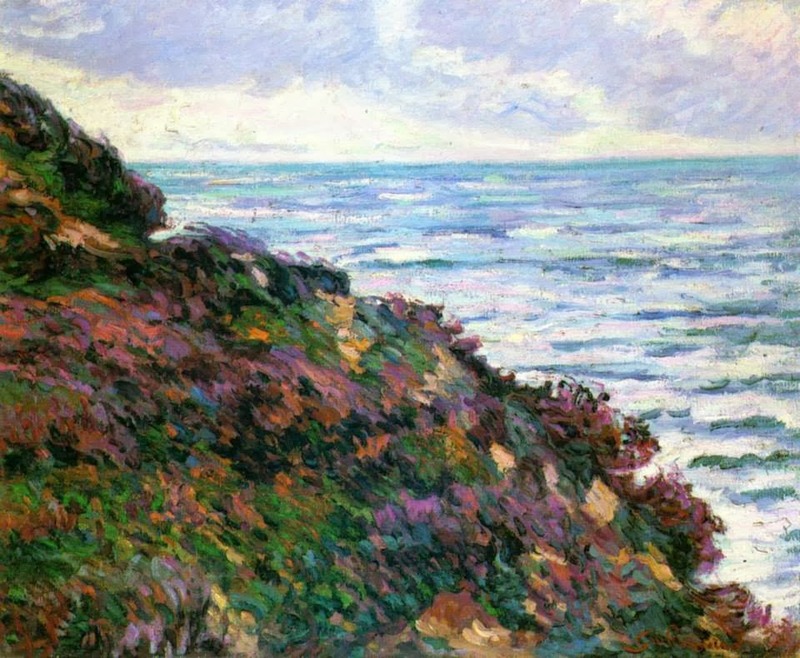 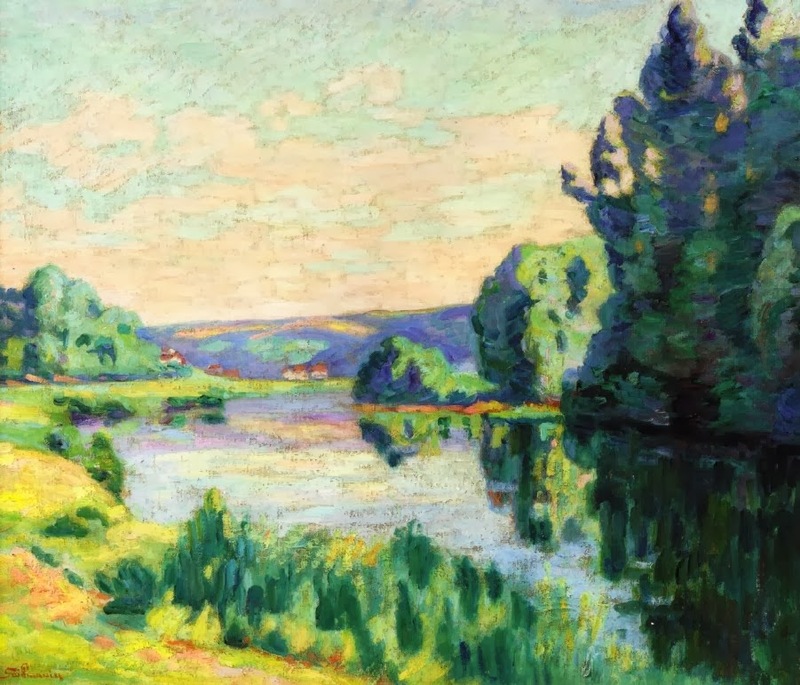 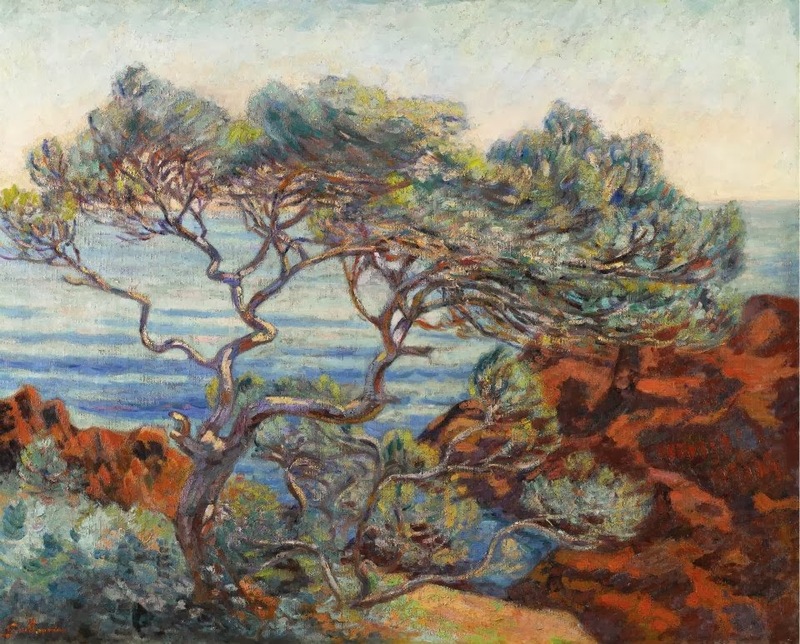 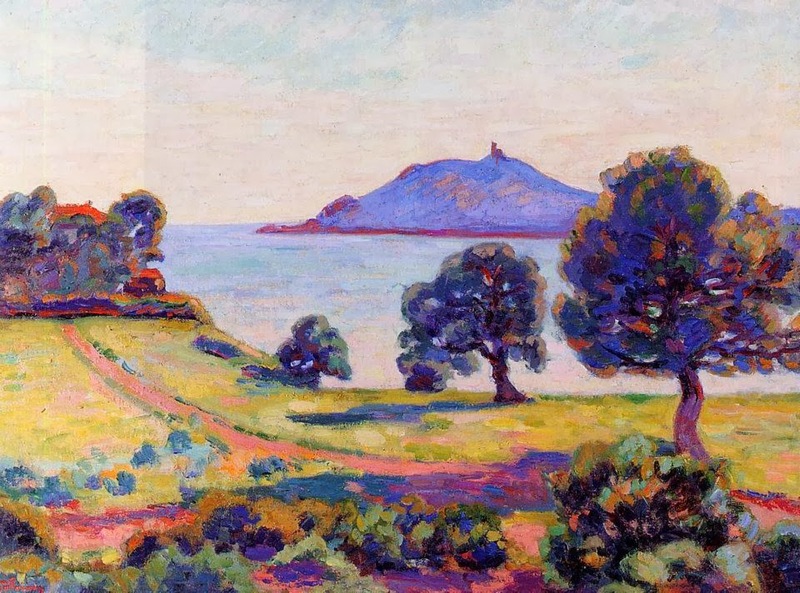 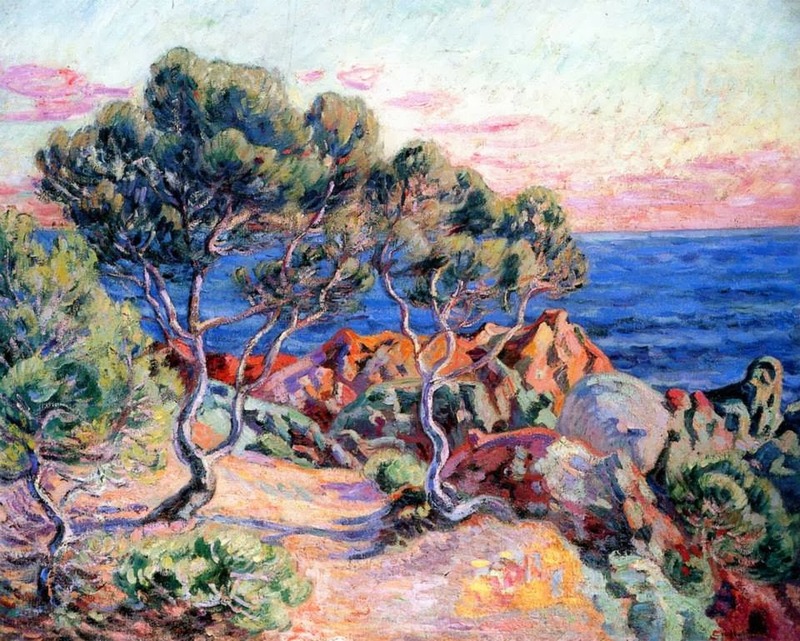 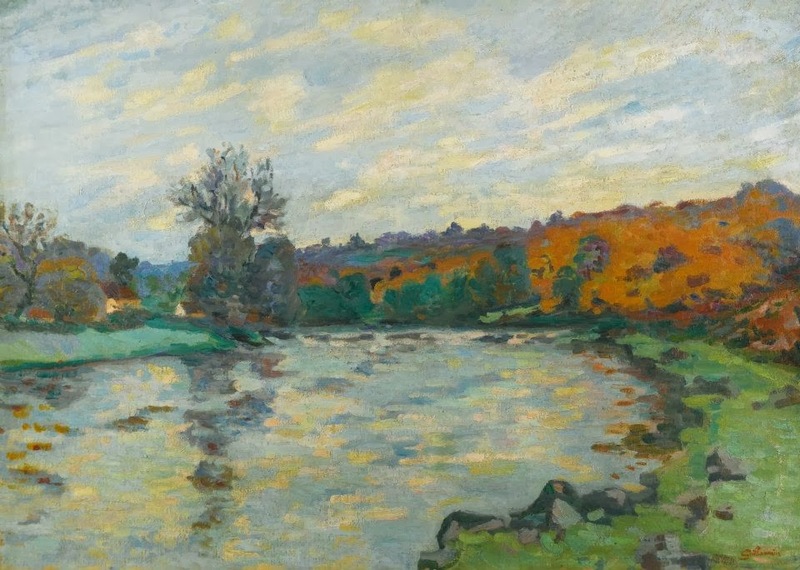 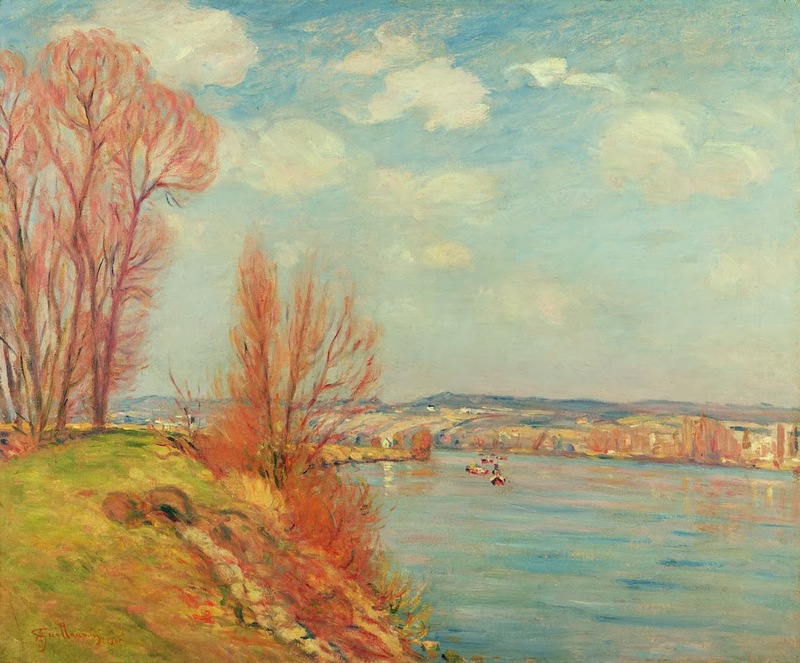 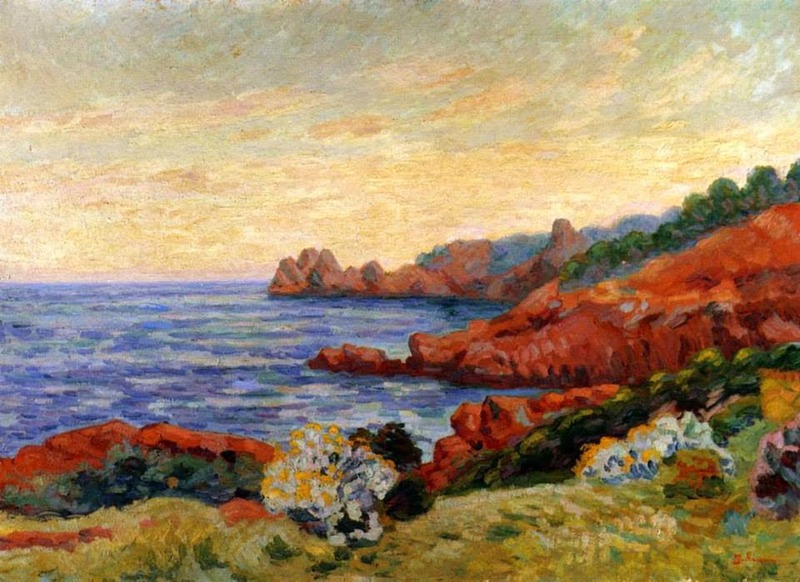 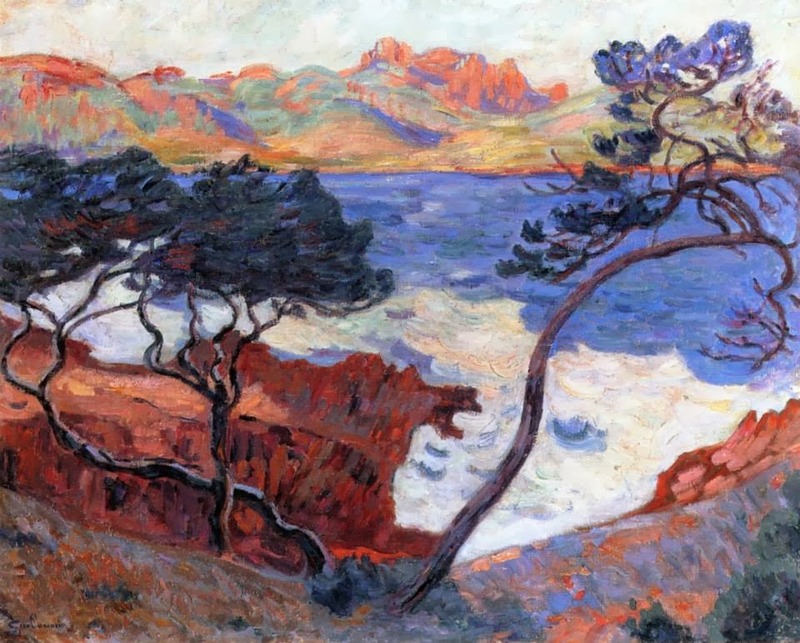 Armand Guillaumin is best known for his landscapes and bold colors. 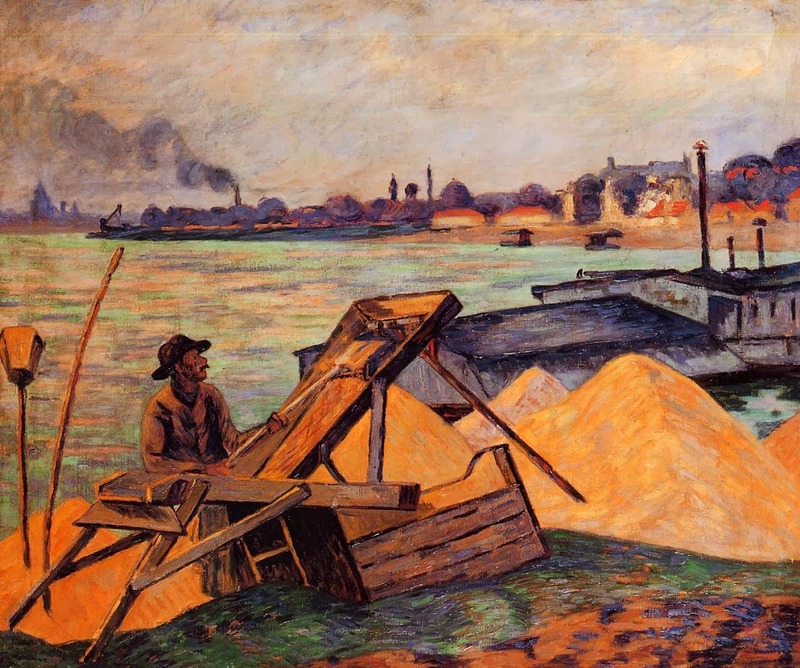 One of his paintings of the river Seine was the basis for his good friend Paul Cézanne's first lithograph. 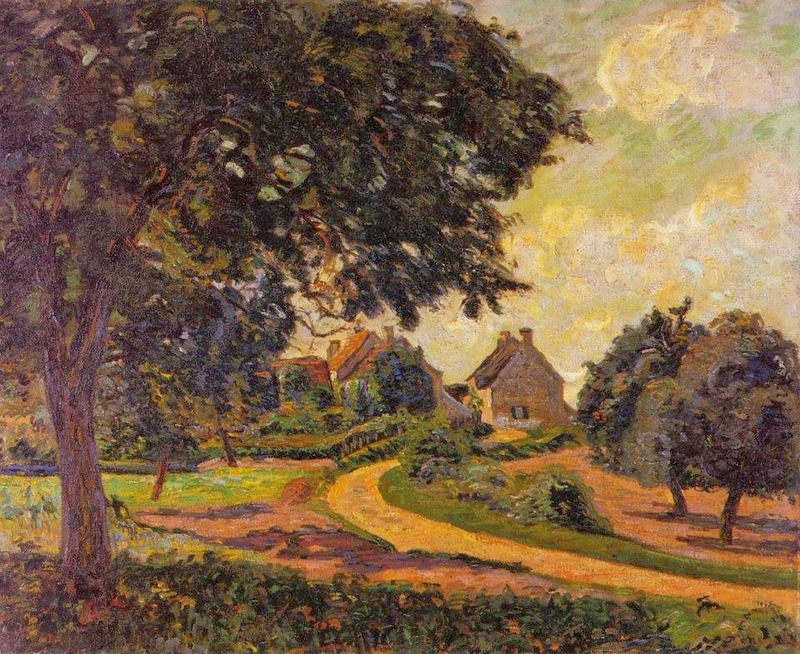 Other than members of the Impressionist group⏩, Guillaumin also formed a strong friendship with artist Vincent van Goghv and his brother. 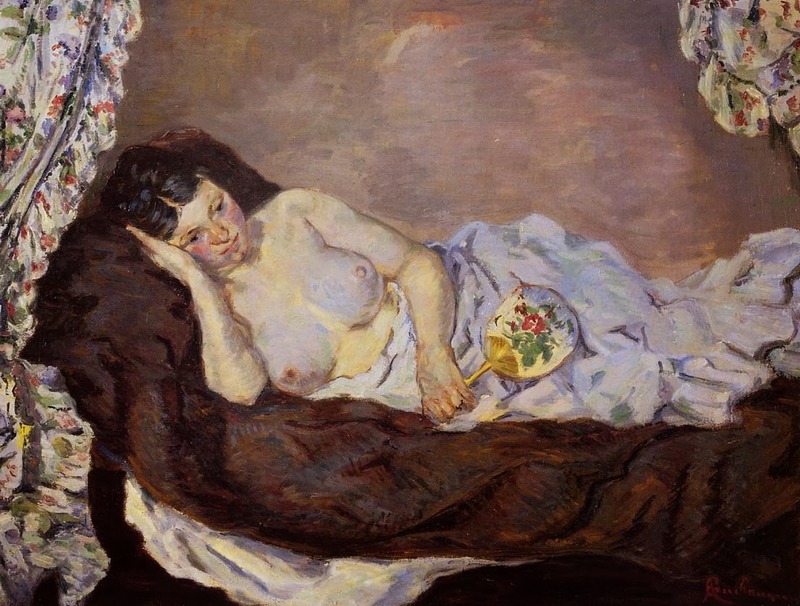 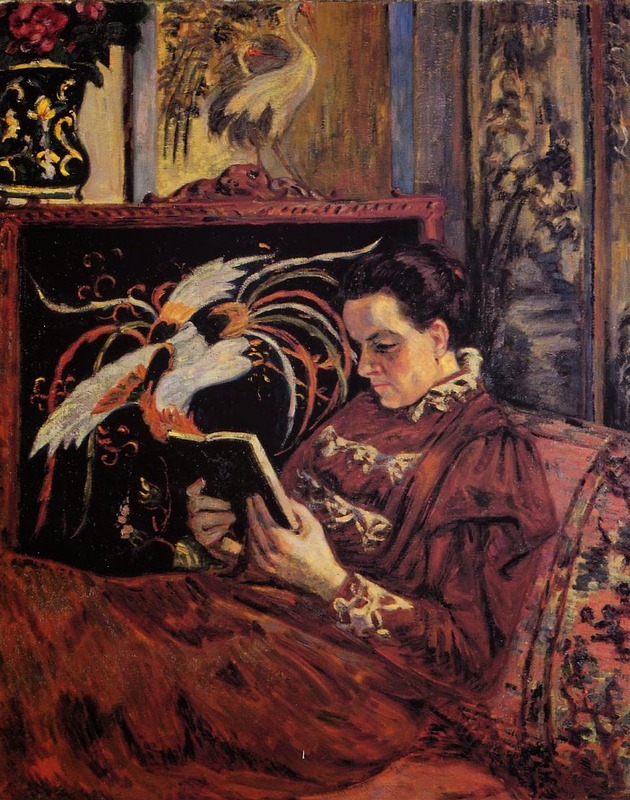 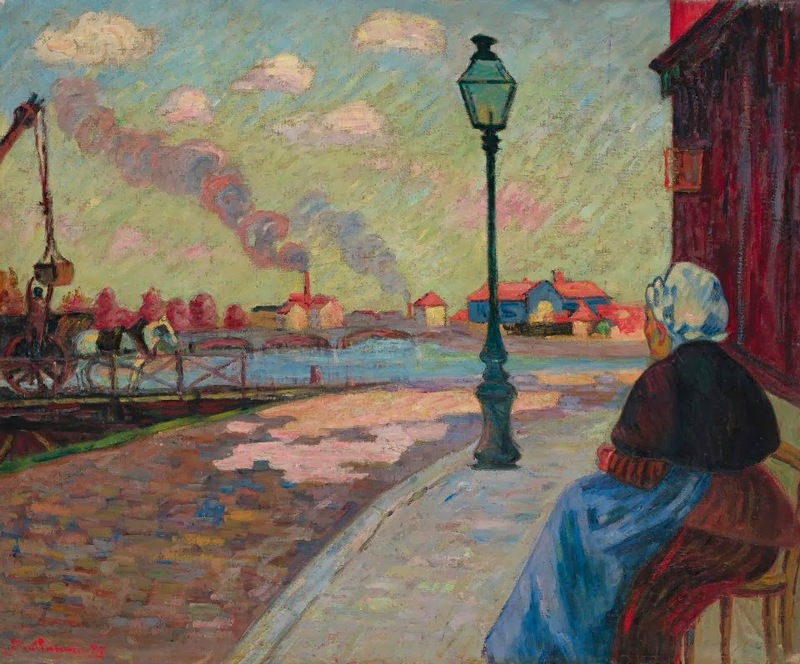 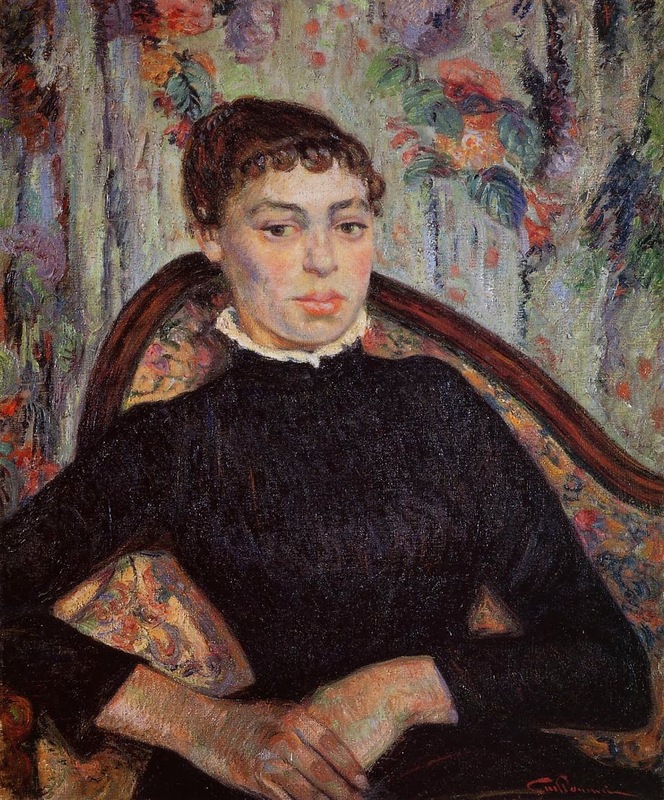 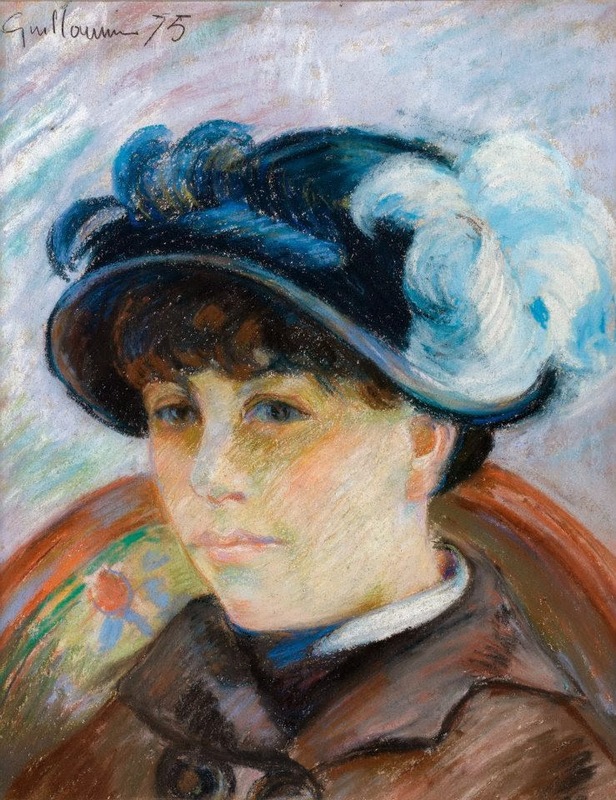 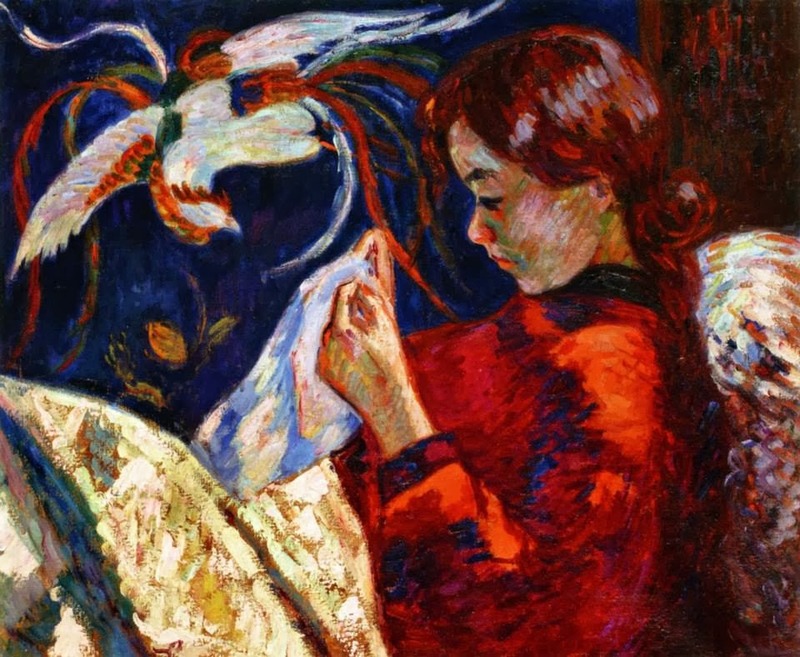 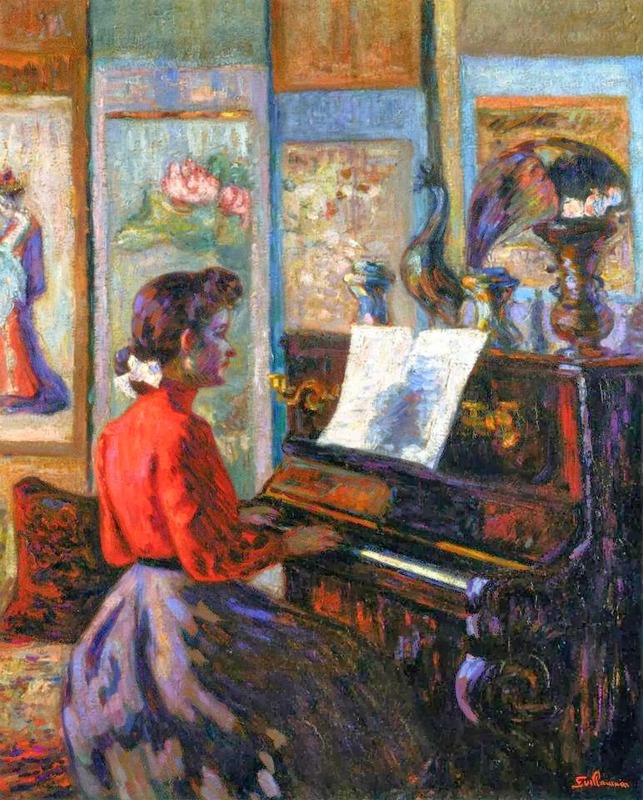 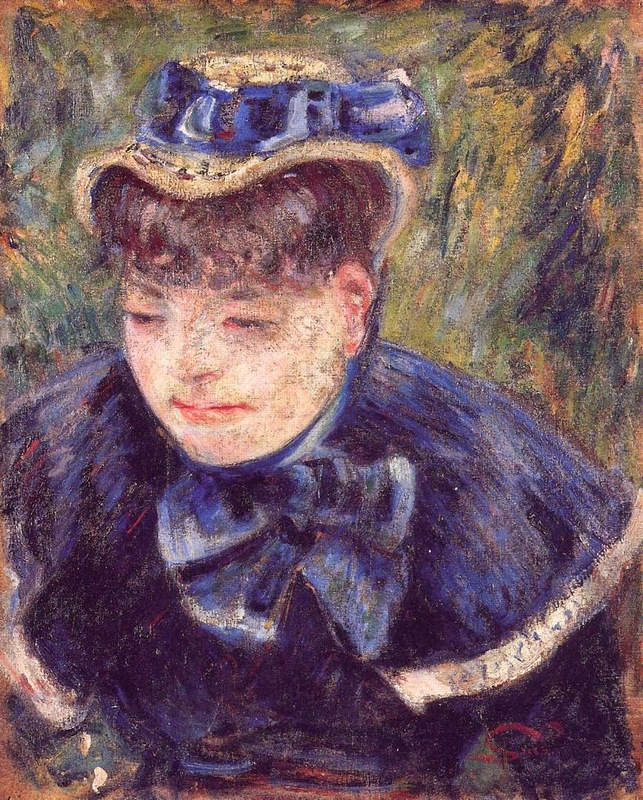 Born in Paris, Guillaumin worked at his uncle's lingerie shop while attending evening drawing lessons. 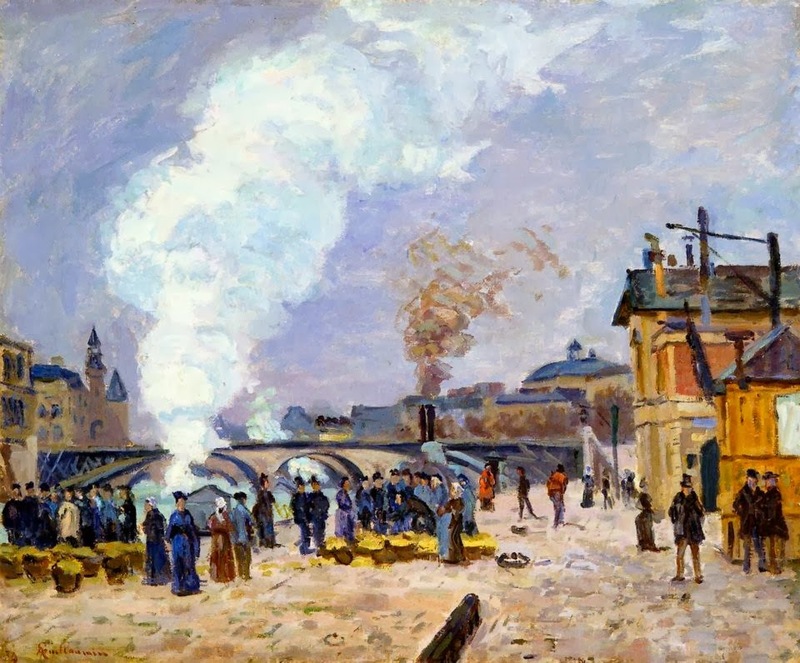 He also worked for a French government railway before studying at the Académie Suisse in 1861. 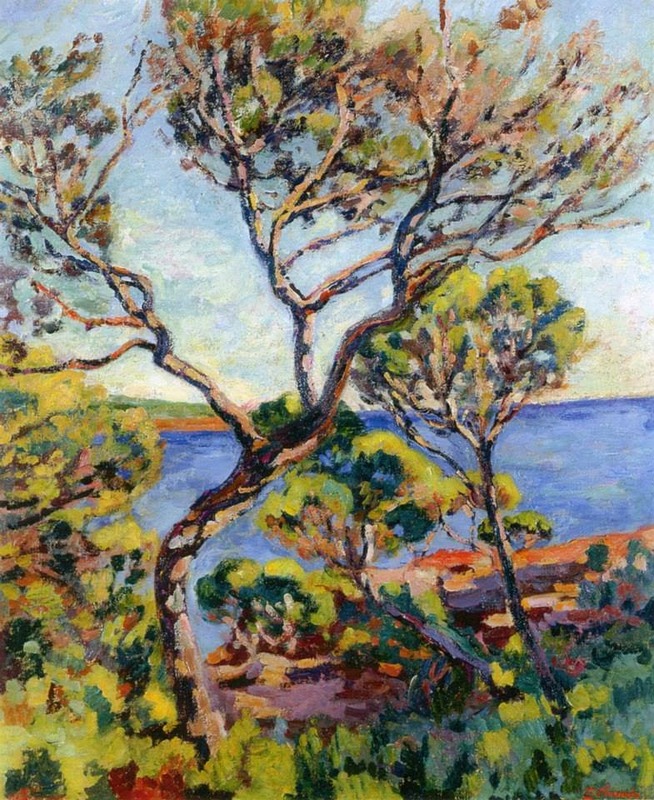 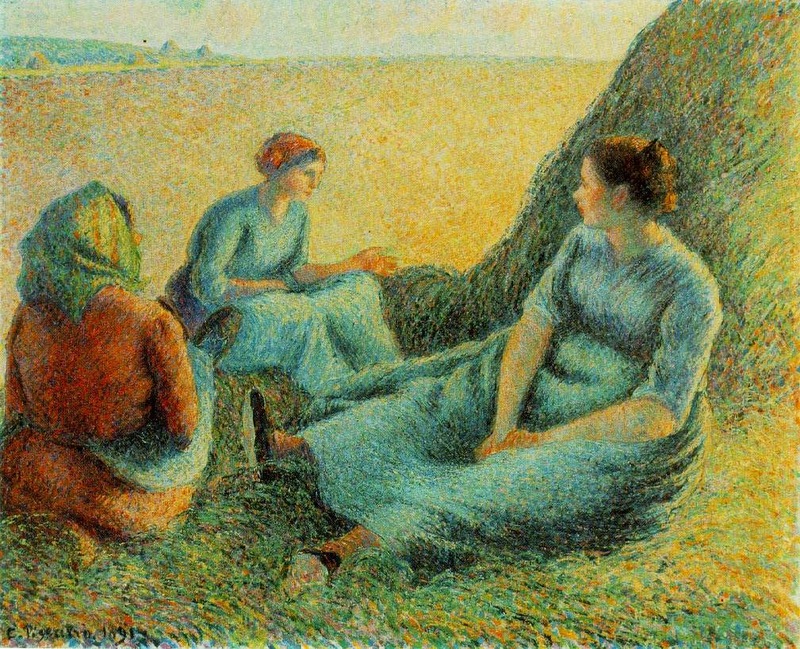 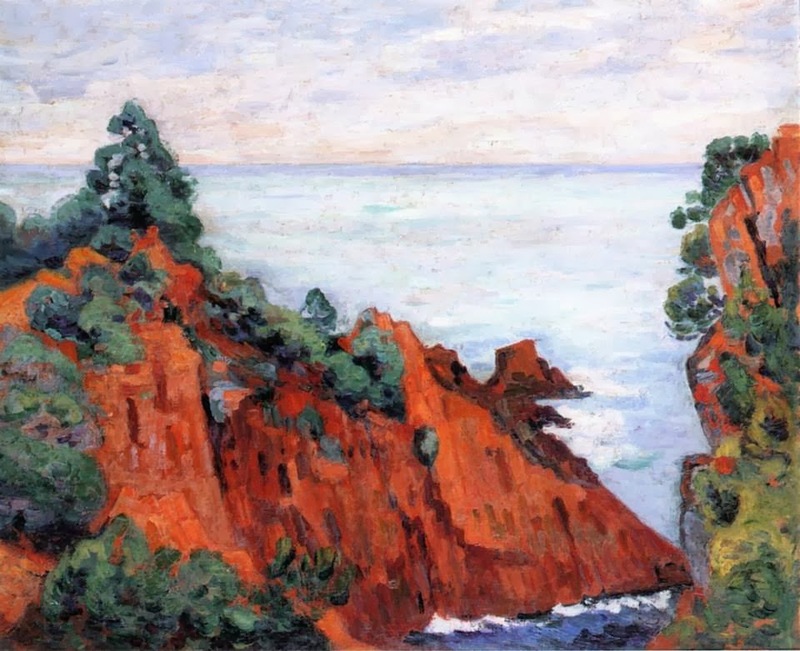 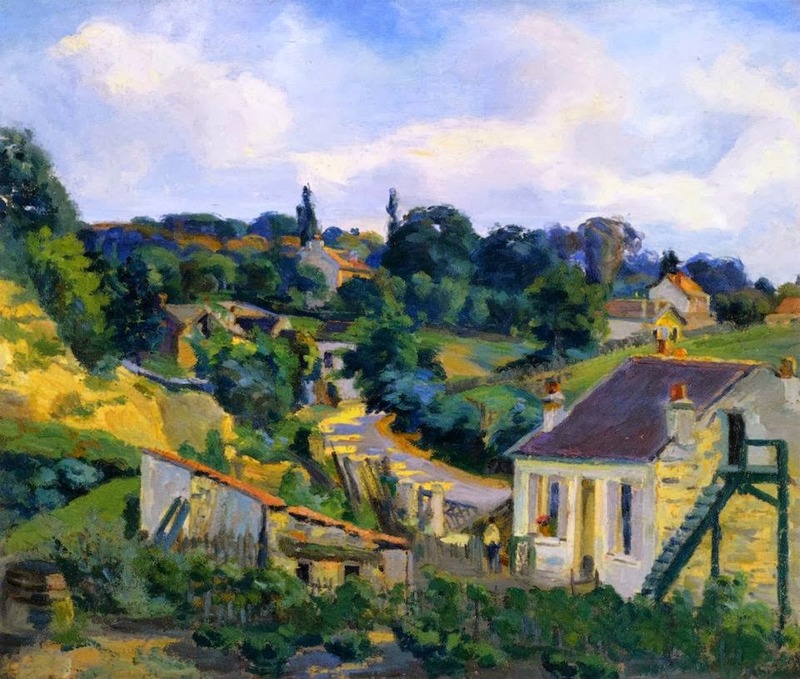 There, he met Paul Cézanne and Camille Pissarro with whom he maintained lifelong friendships. 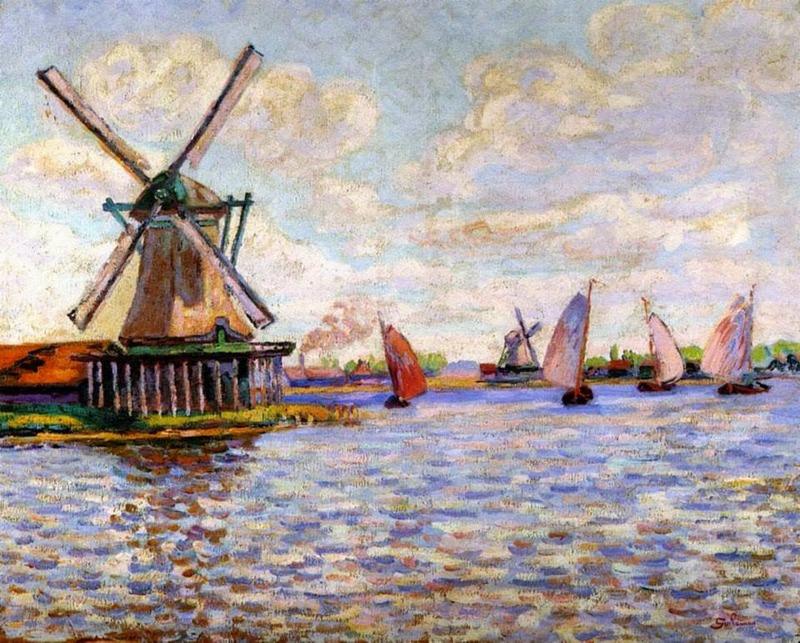 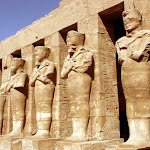 While he never achieved the stature of these two, his influence on their work was significant. 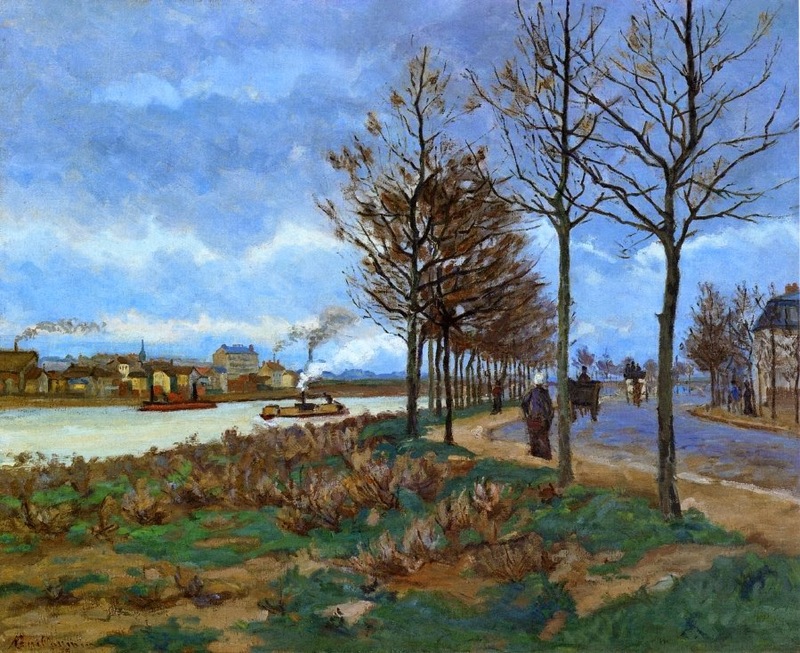 Cézanne attempted his first etching based on Guillaumin paintings of barges on the River Seine. 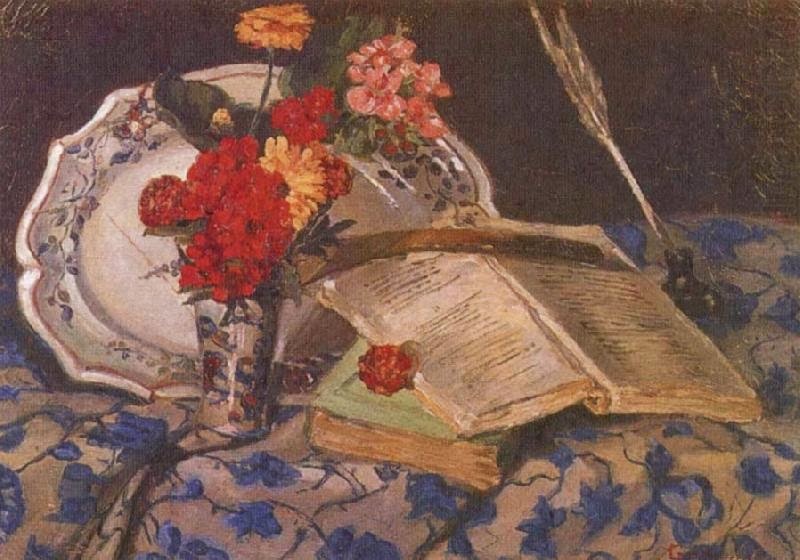 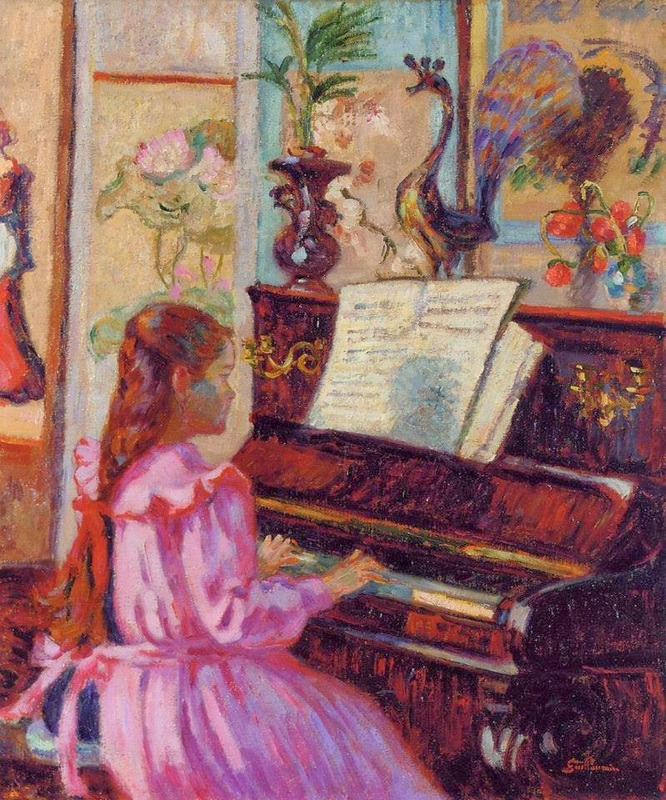 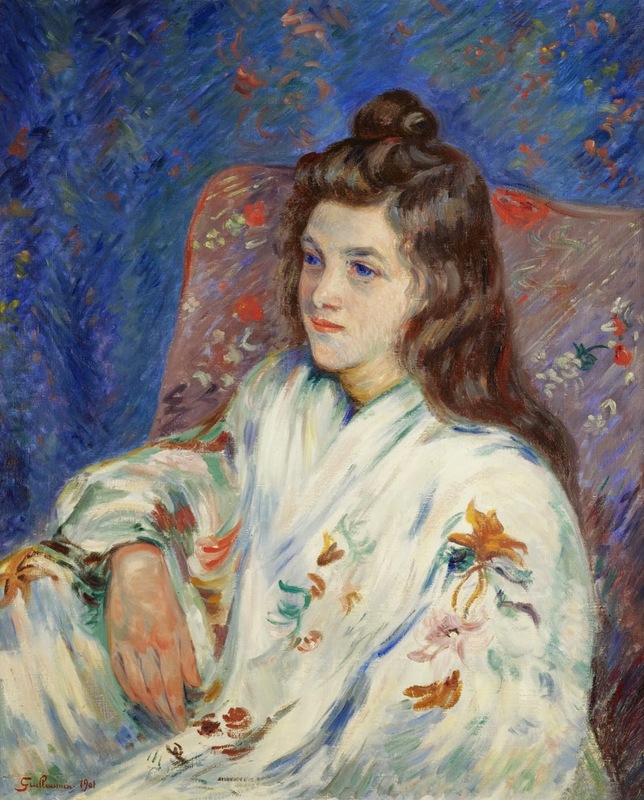 Guillaumin exhibited at the Salon des Refusés in 1863. 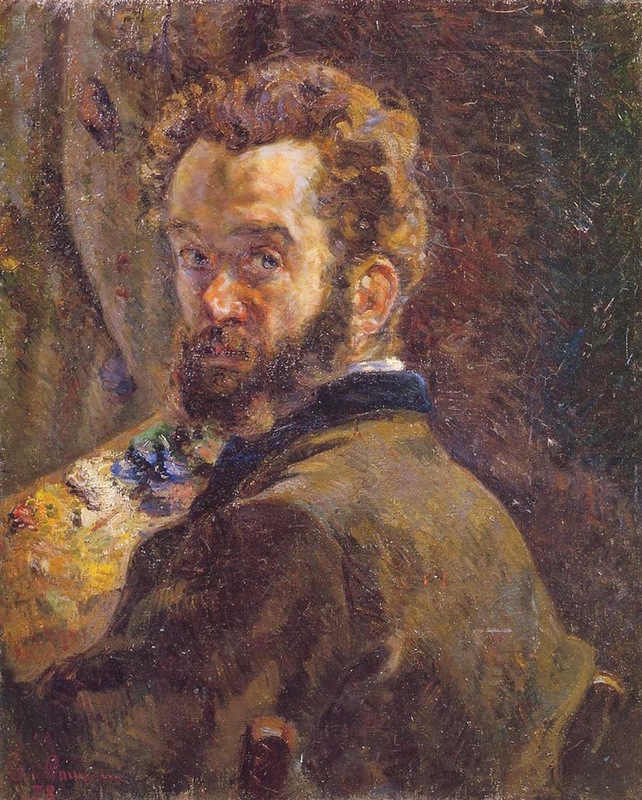 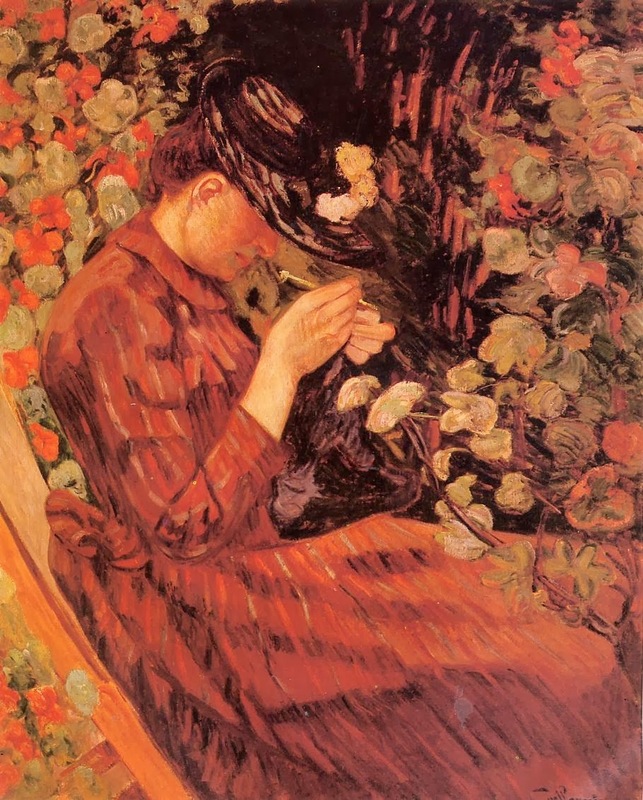 He participated in six of the eight Impressionist exhibitions: 1874, 1877, 1880, 1881, 1882 and 1886. 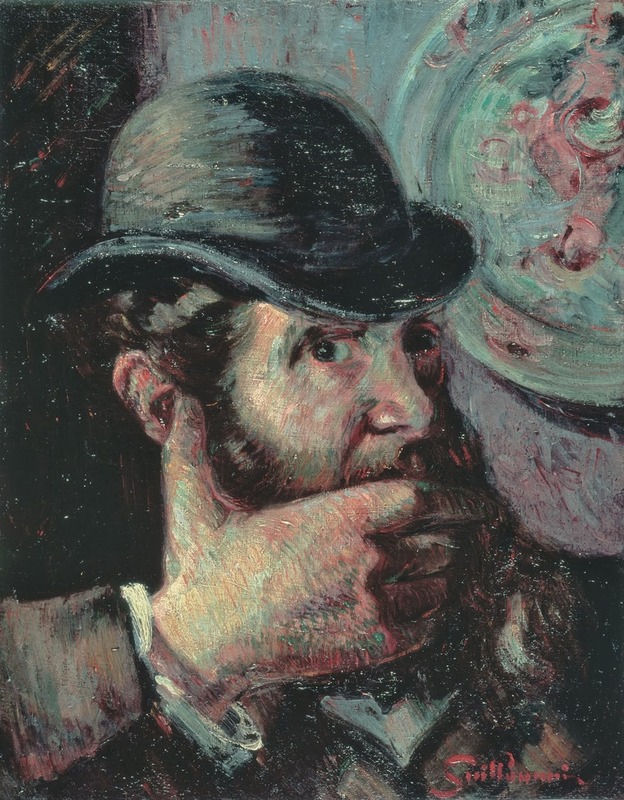 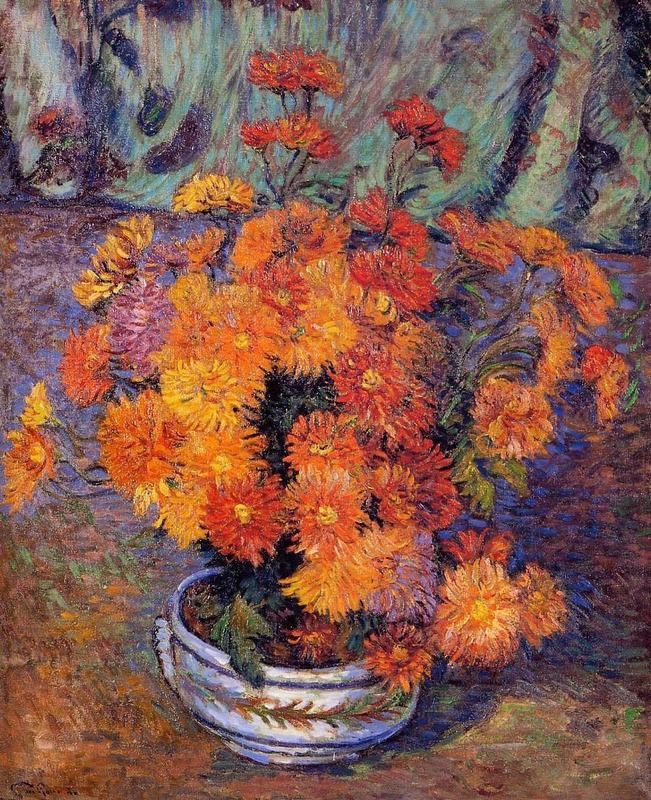 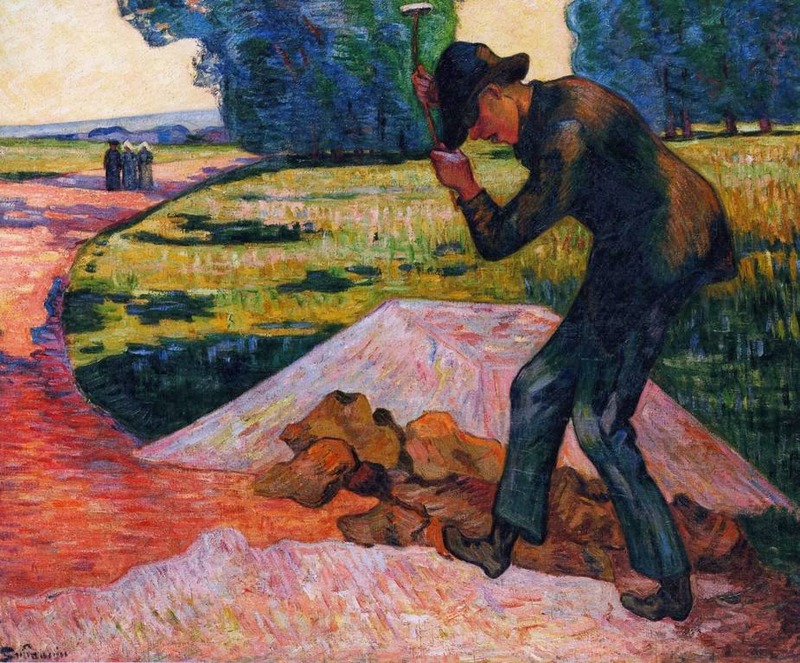 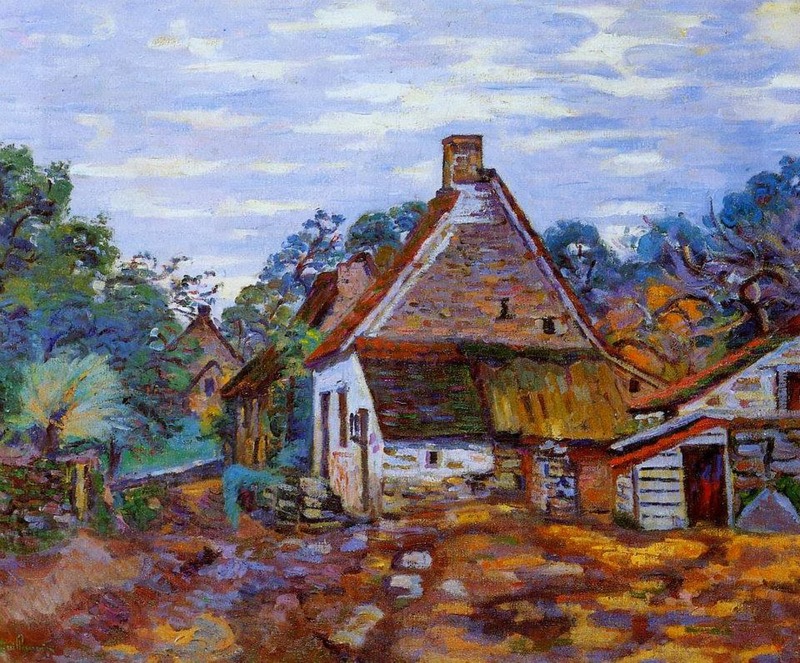 In 1886 he became a friend of Vincent van Gogh whose brother, Theo sold some of his works. 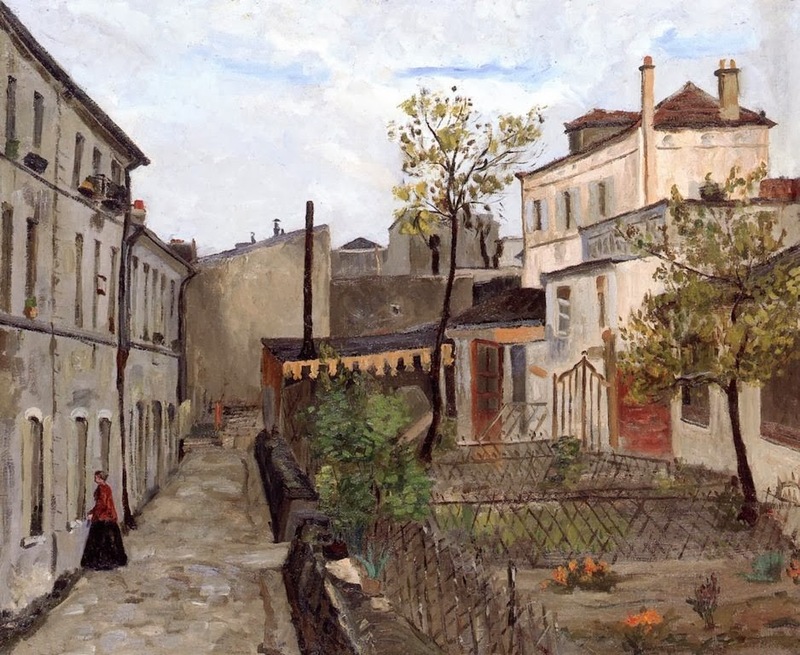 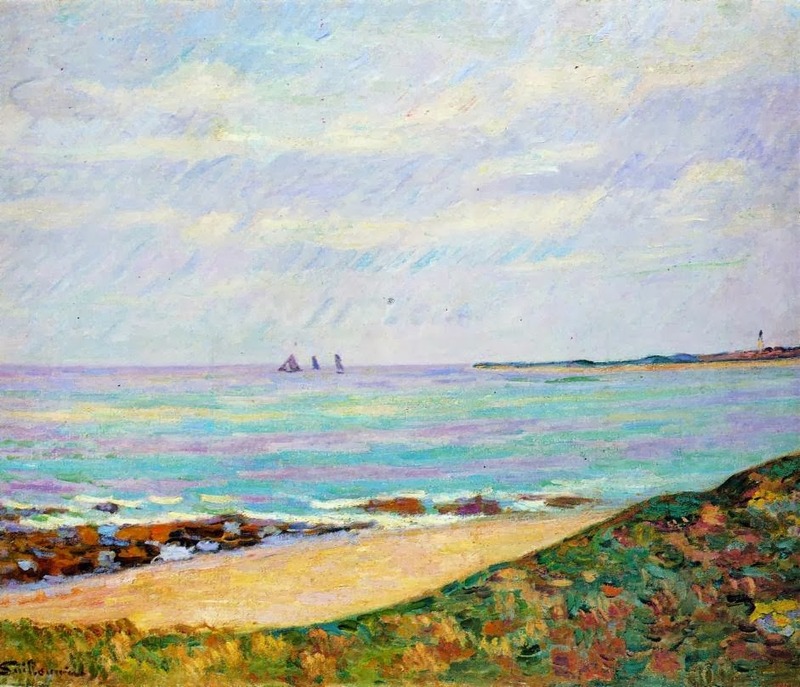 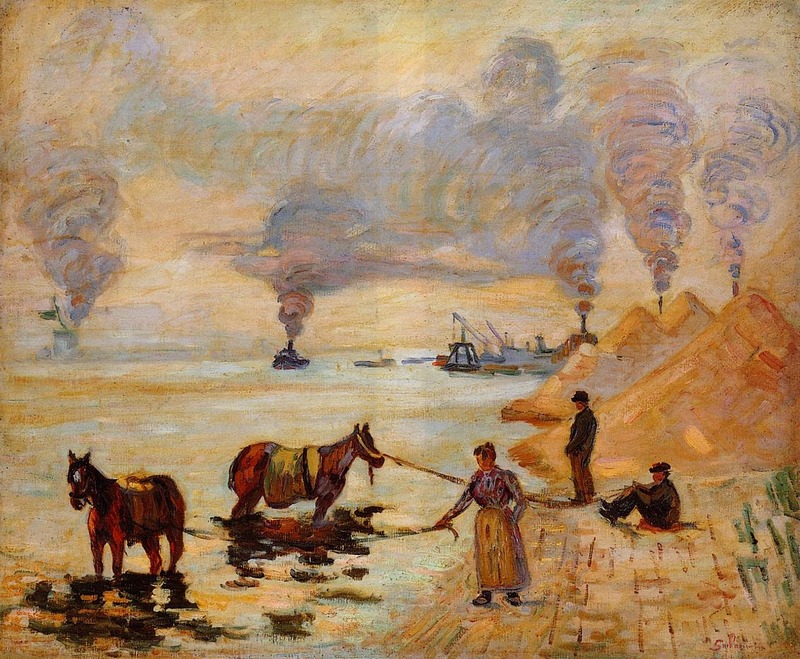 He was finally able to quit his government job and concentrate on painting full-time in 1891, when he won 100,000 francs in the state lottery. 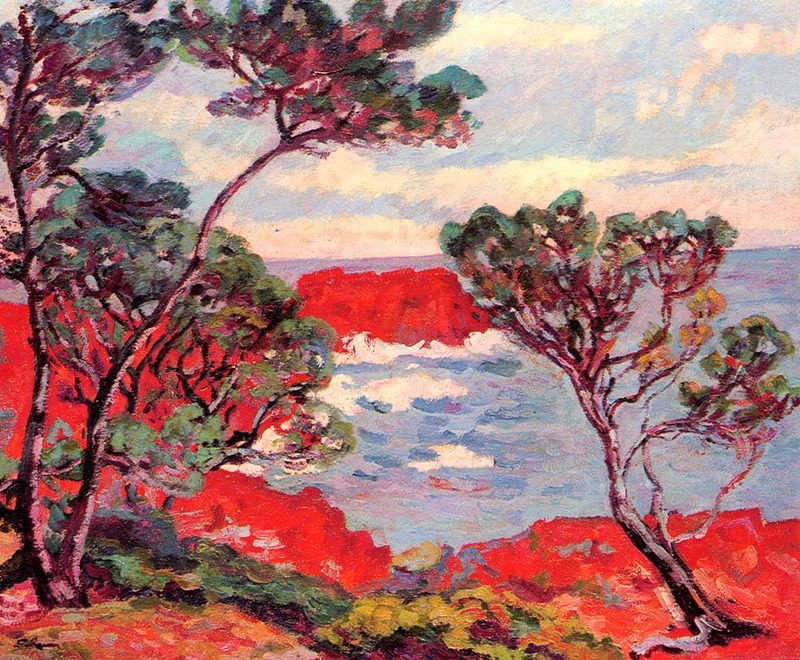 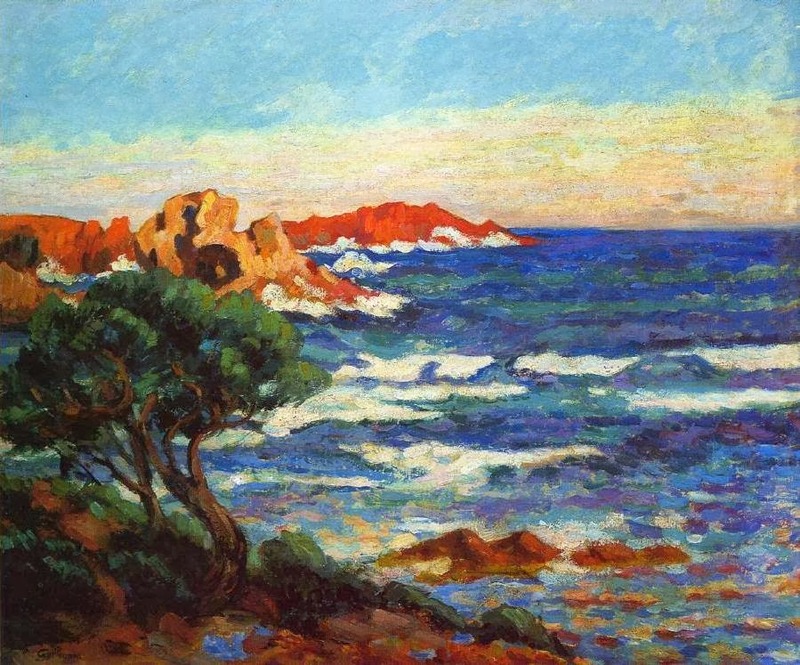 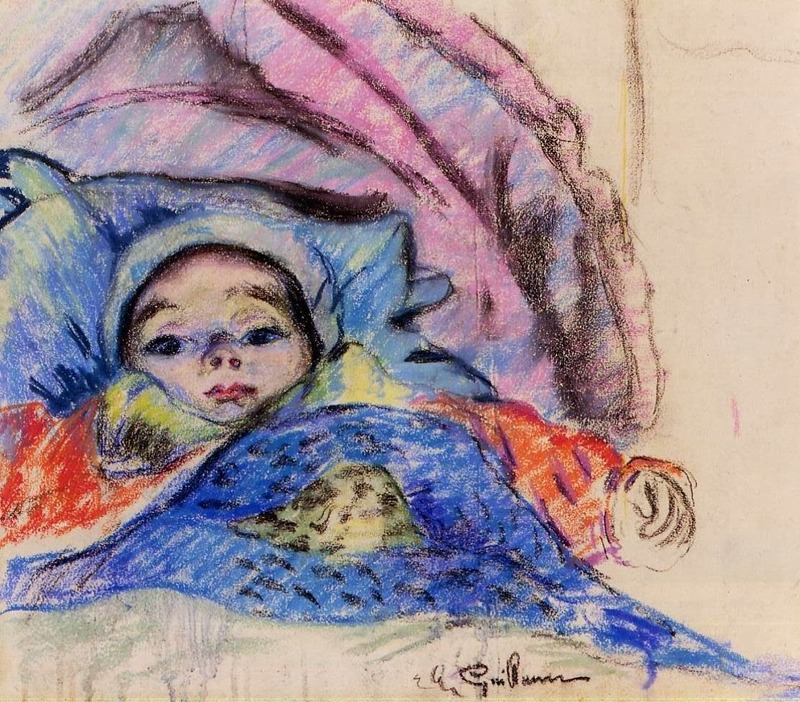 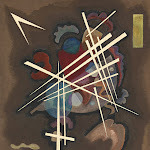 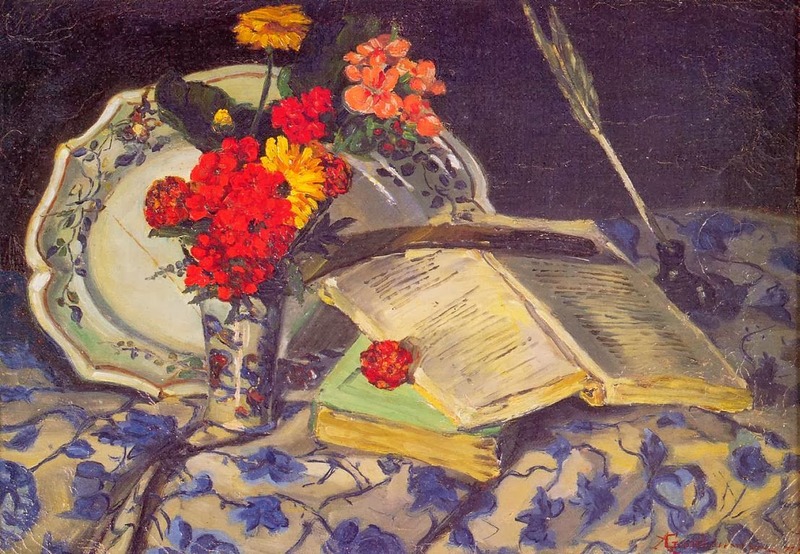 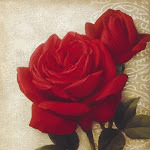 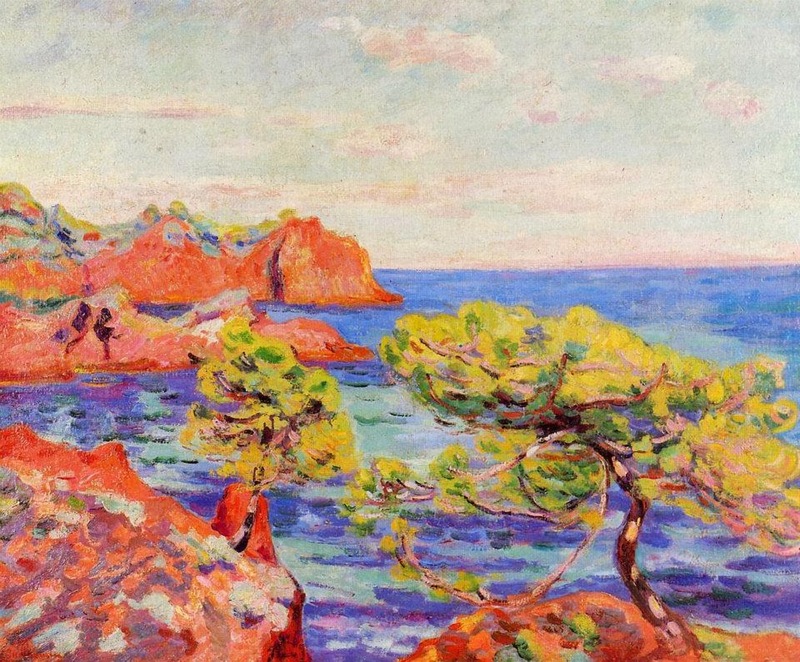 Noted for their intense colours, Guillamin's paintings are represented in major museums around the world. 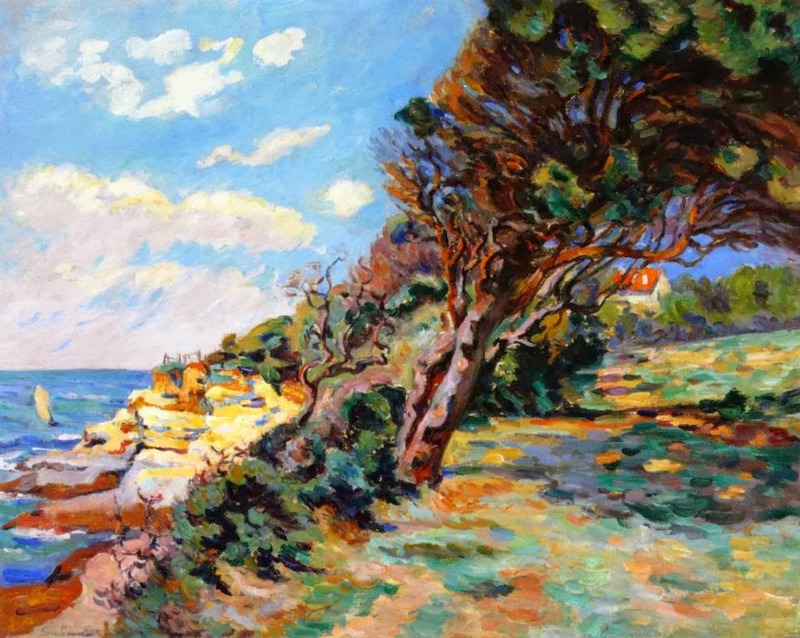 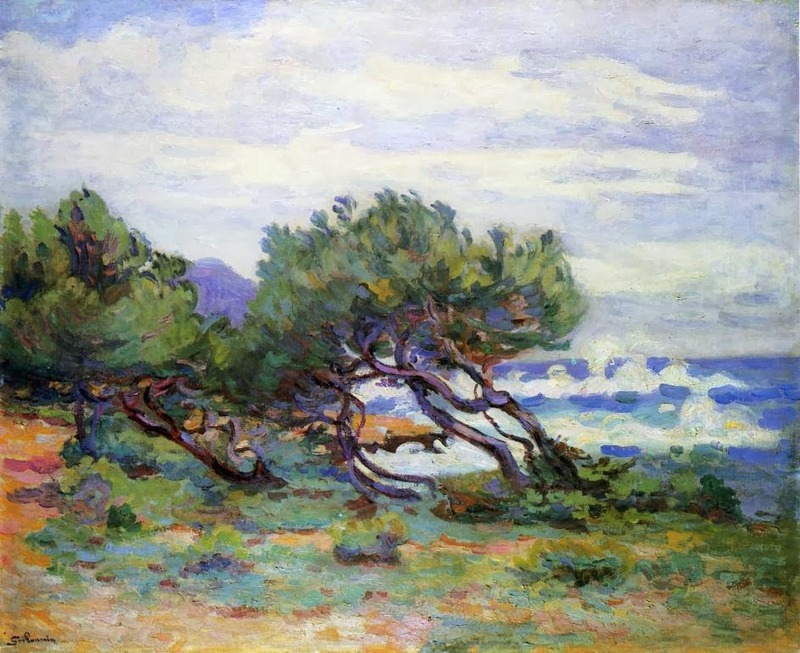 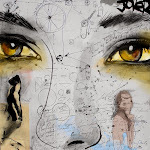 He is best remembered for his landscapes of Paris, the Creuse département, and the area around Les Adrets-de-l'Estérel near the Mediterranean coast in the Provence-Alpes-Côte d'Azur region of France. 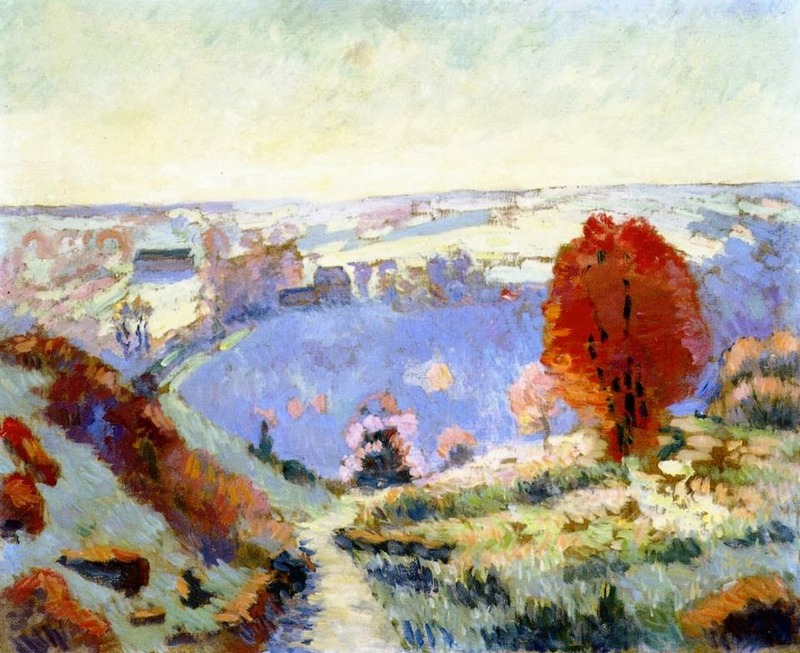 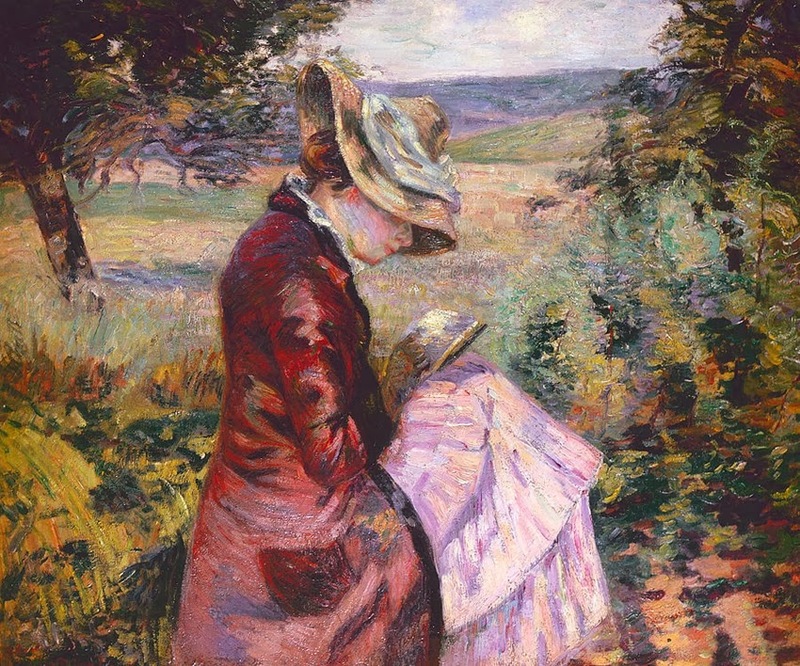 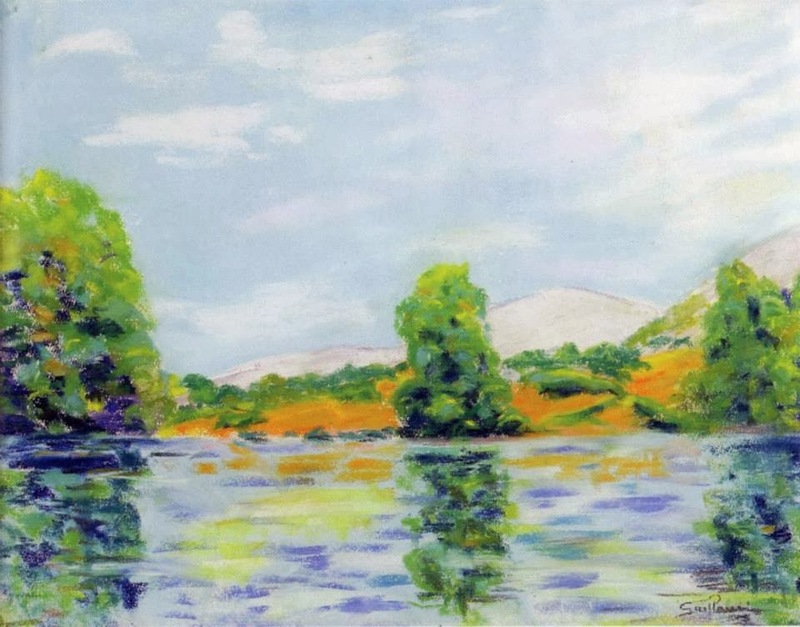 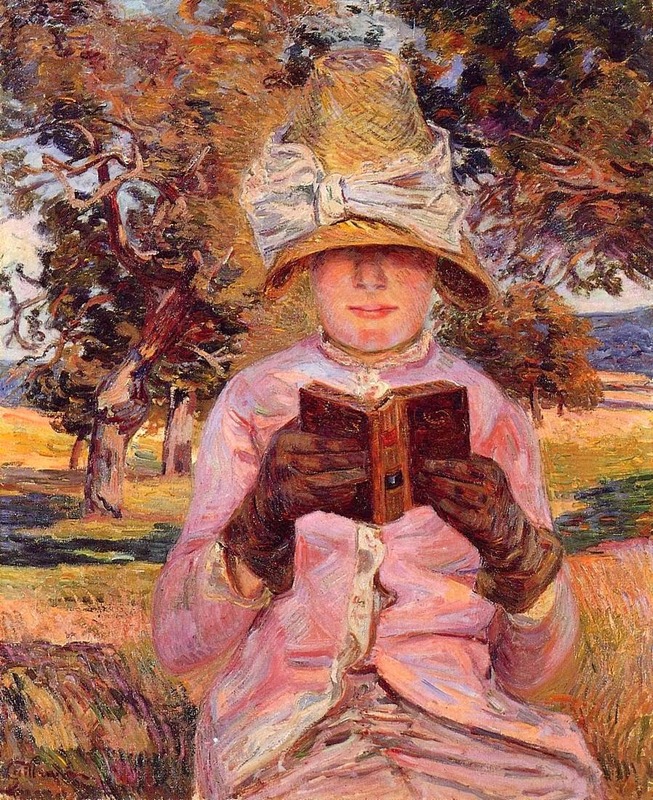 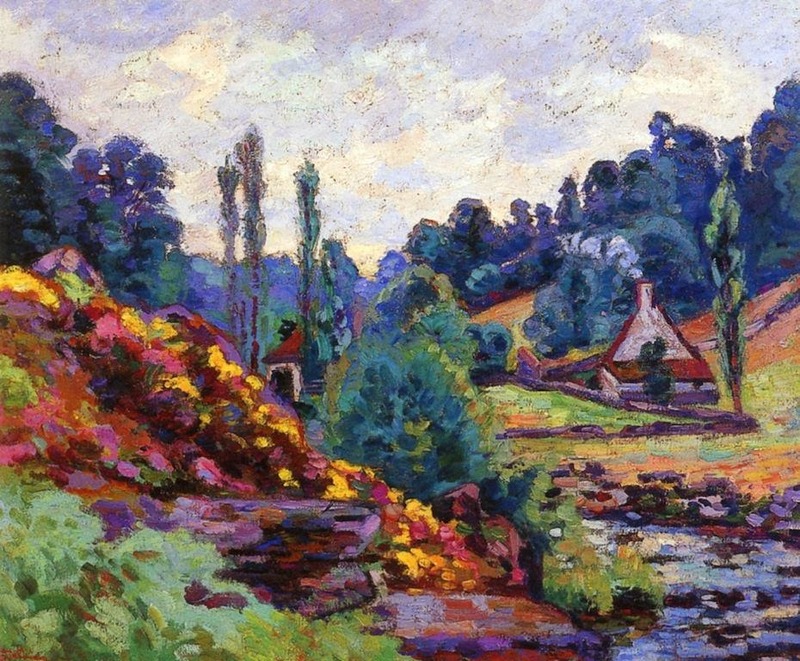 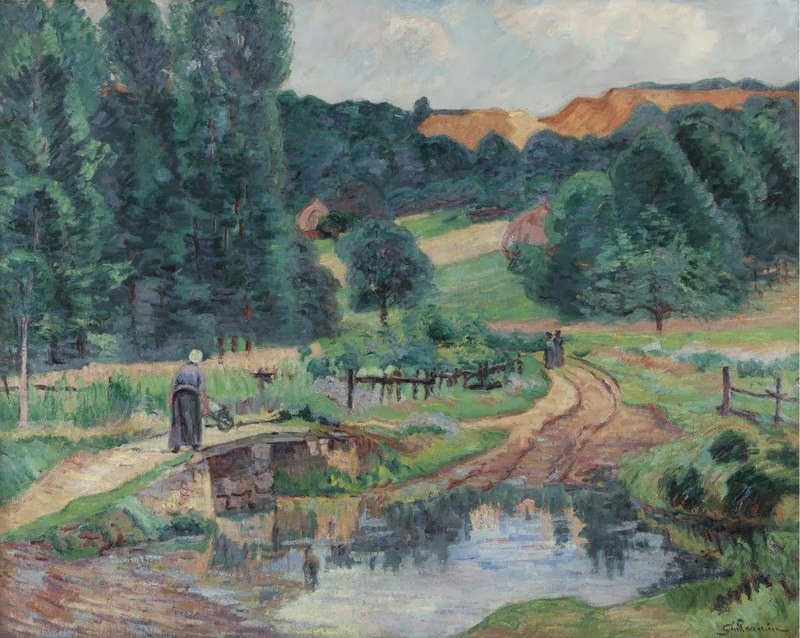 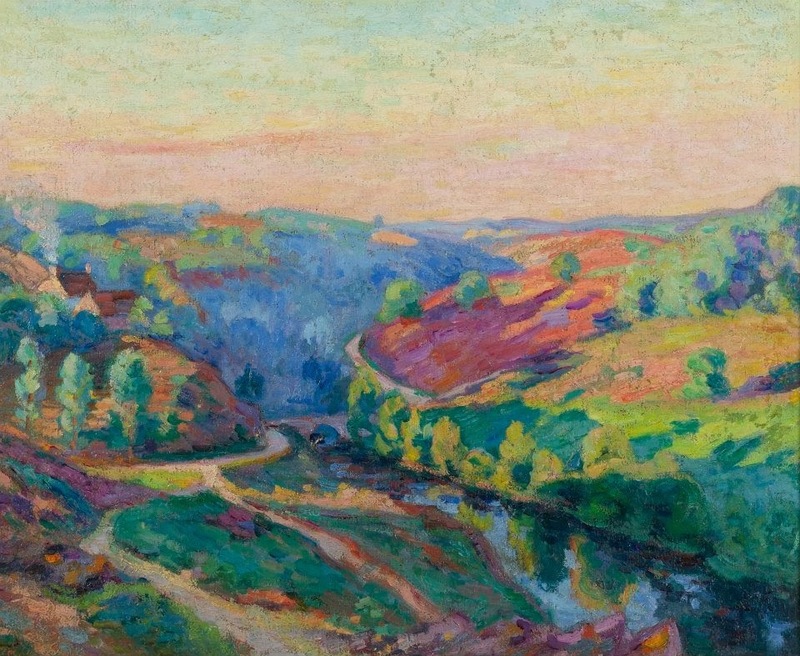 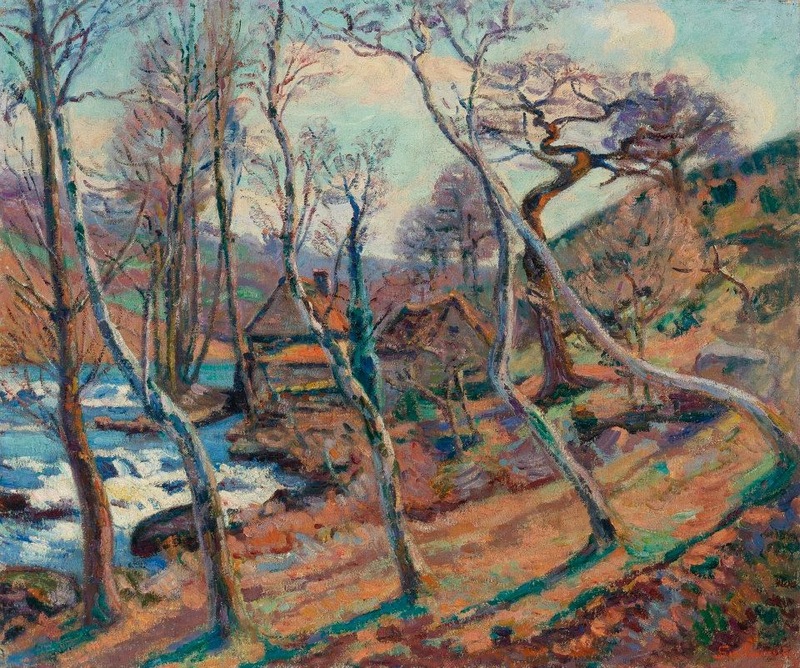 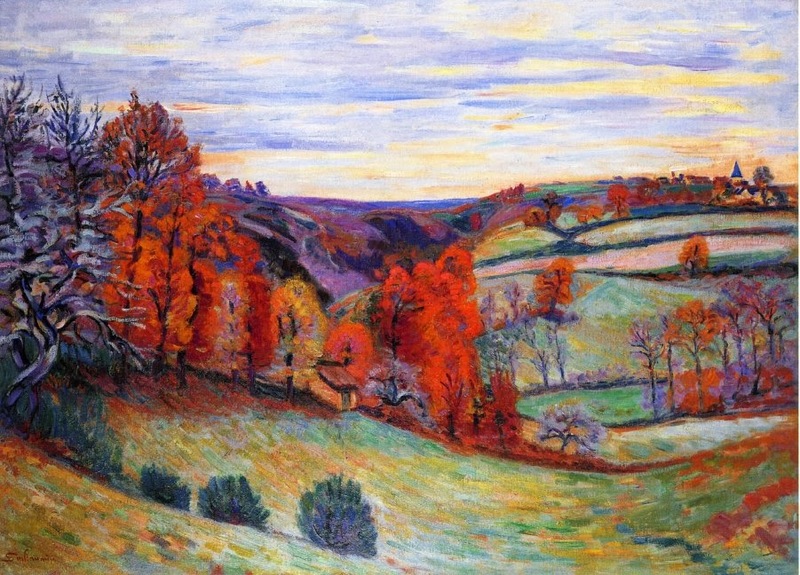 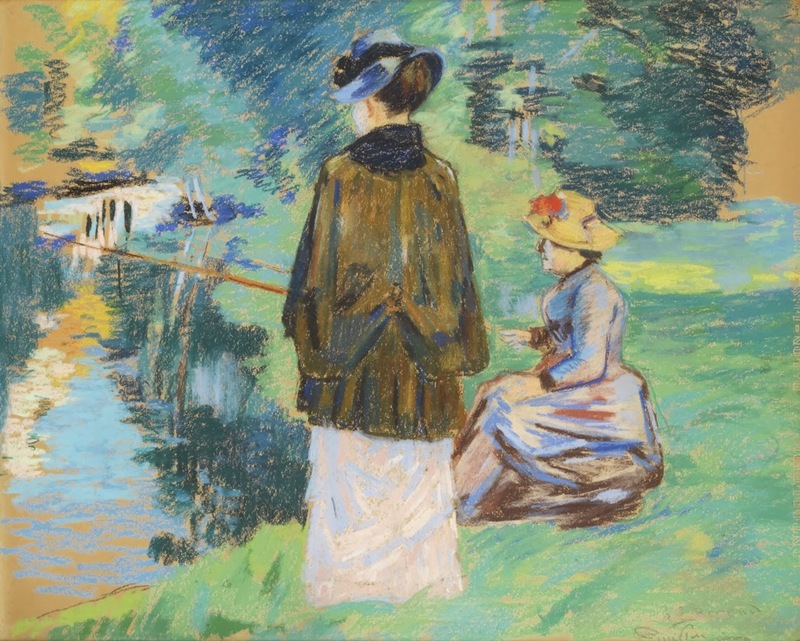 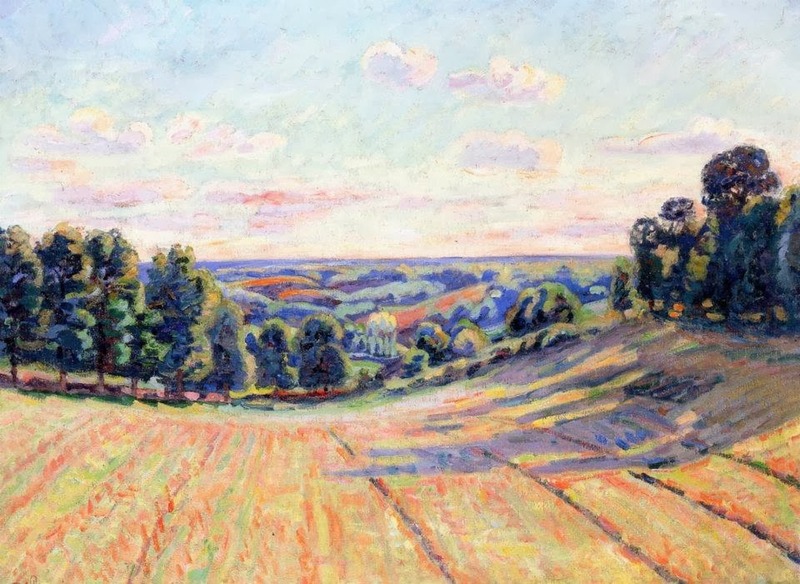 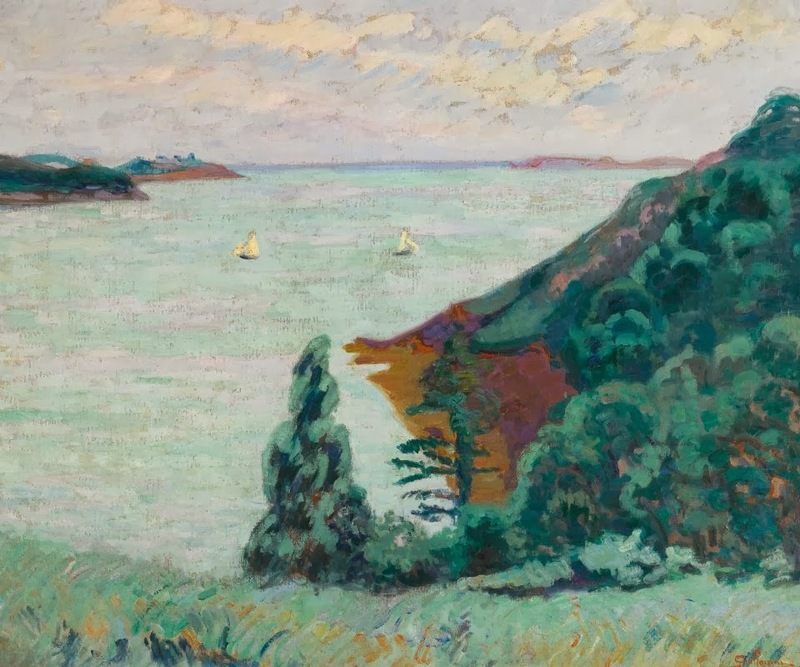 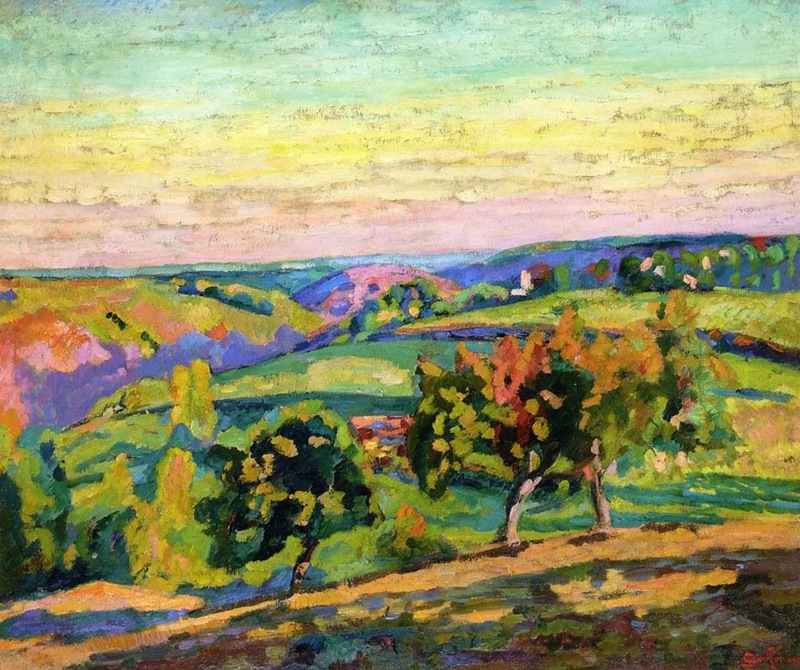 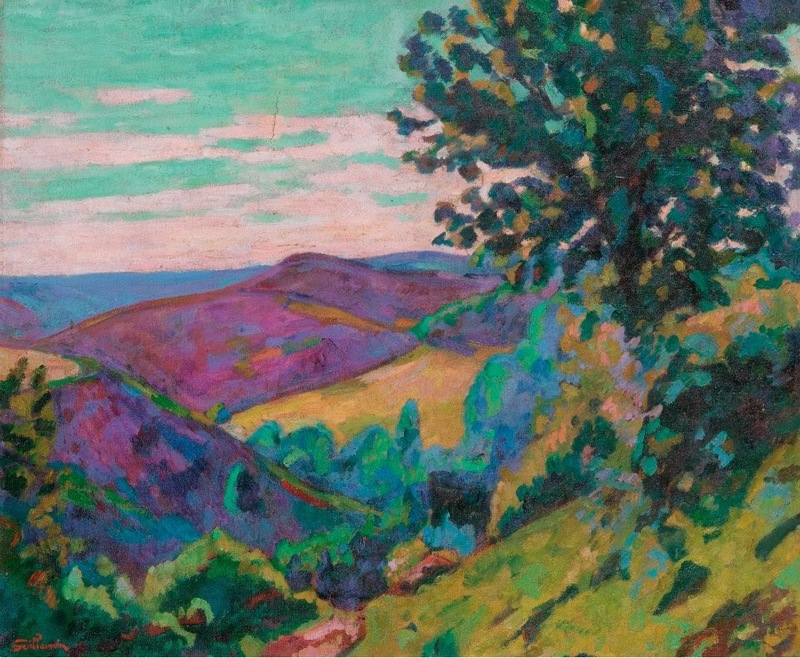 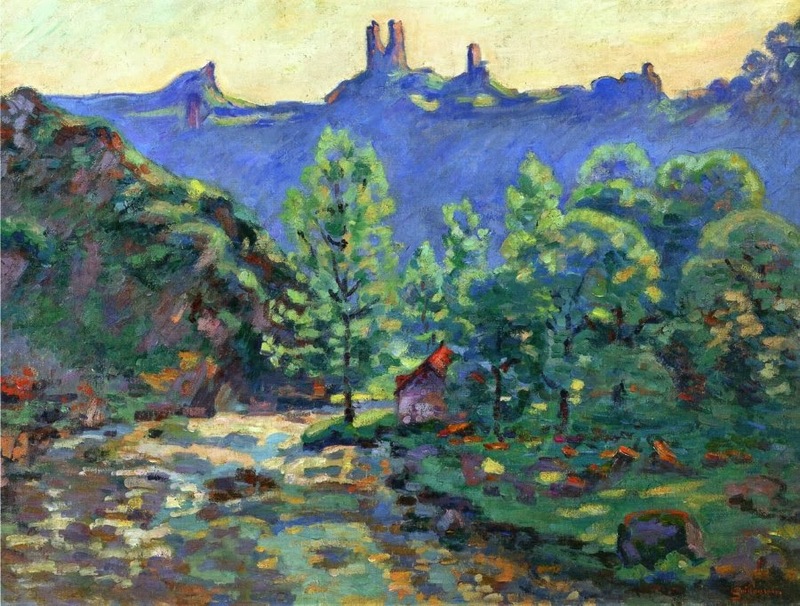 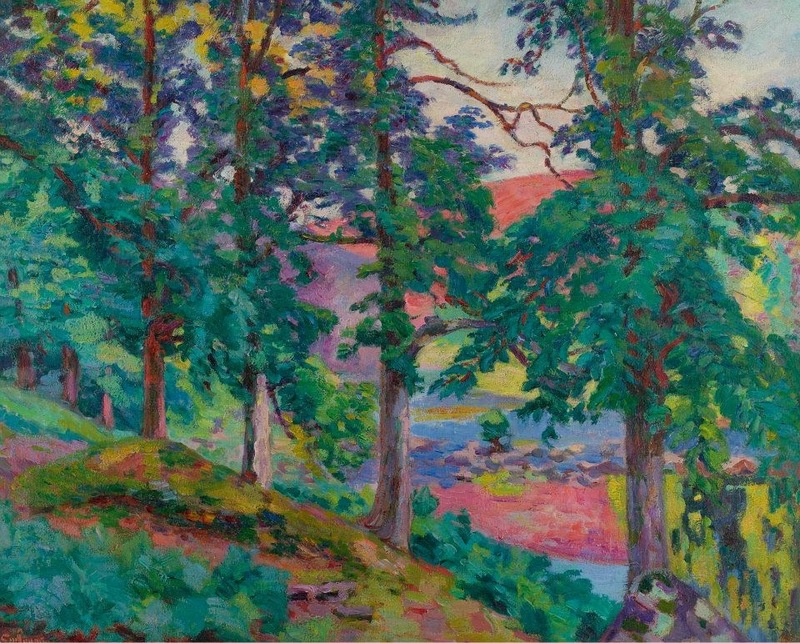 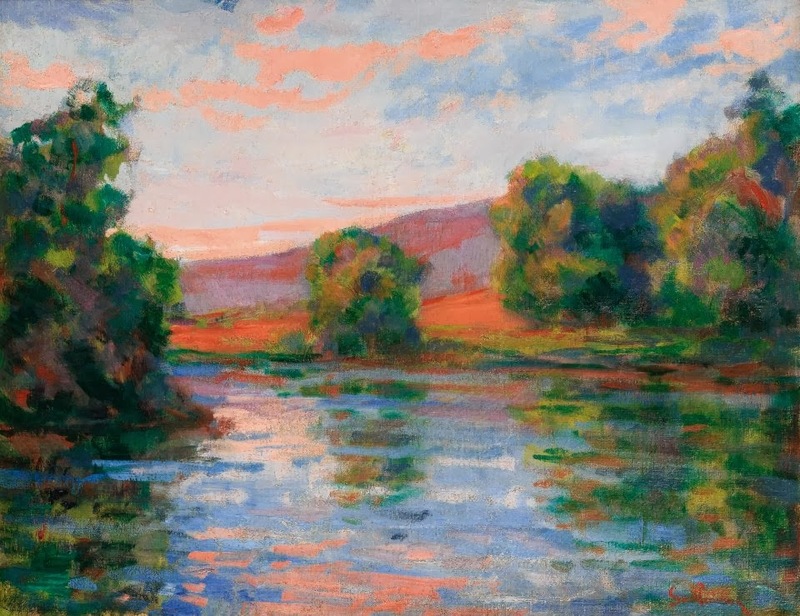 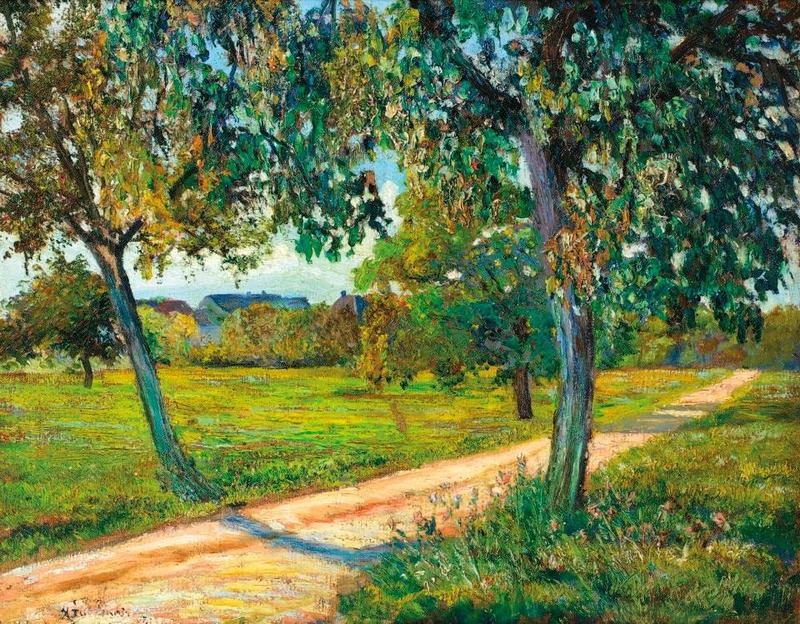 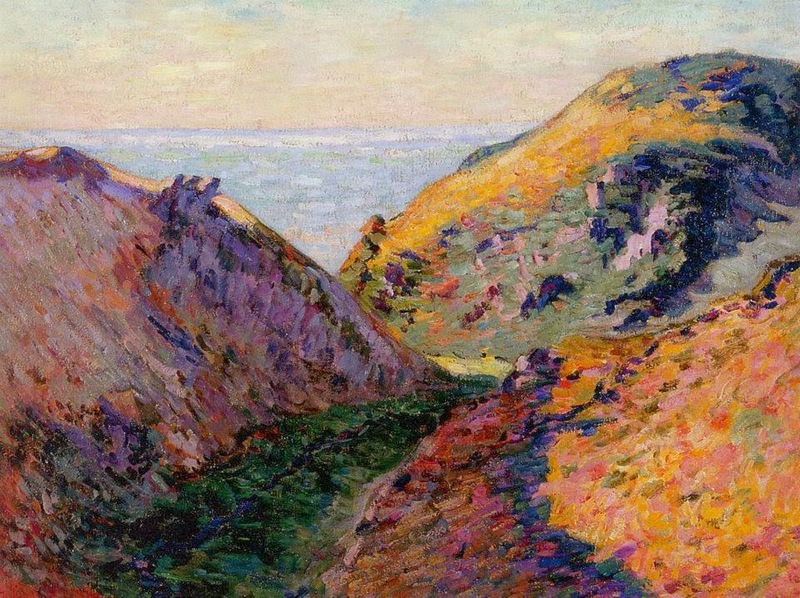 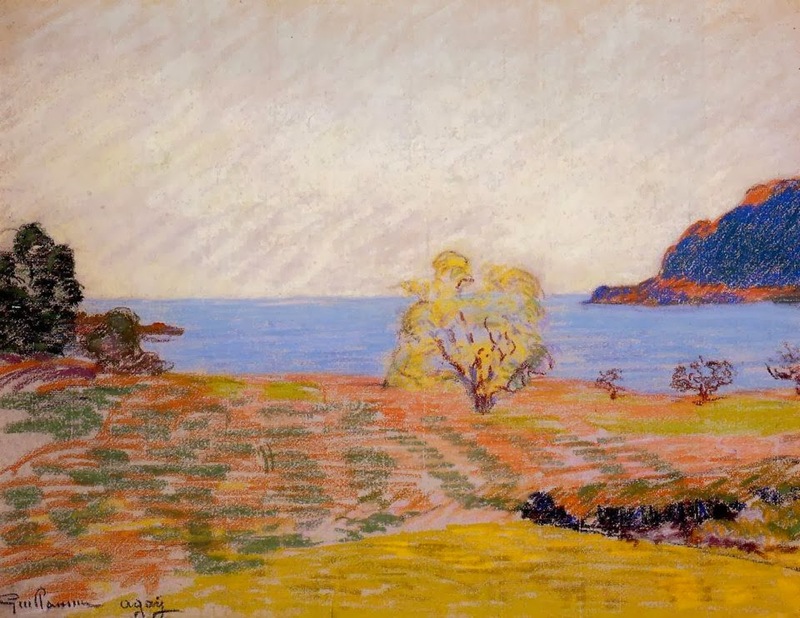 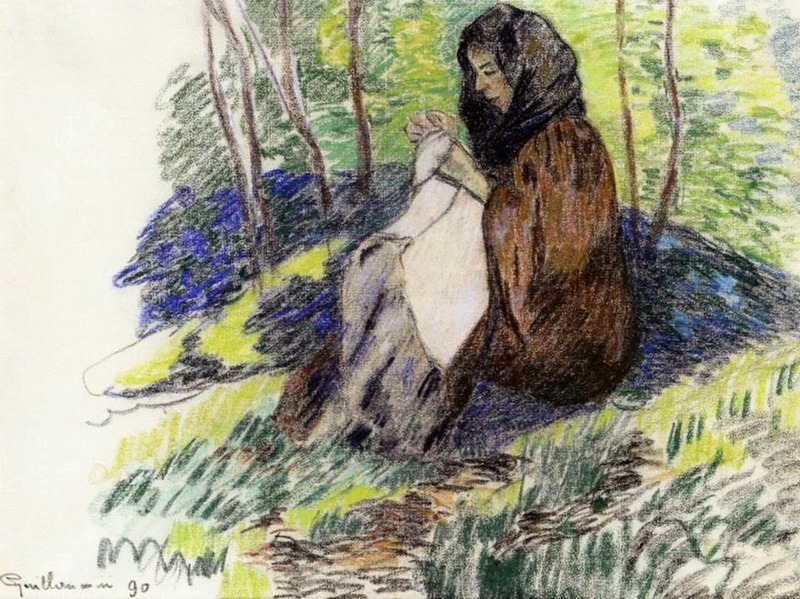 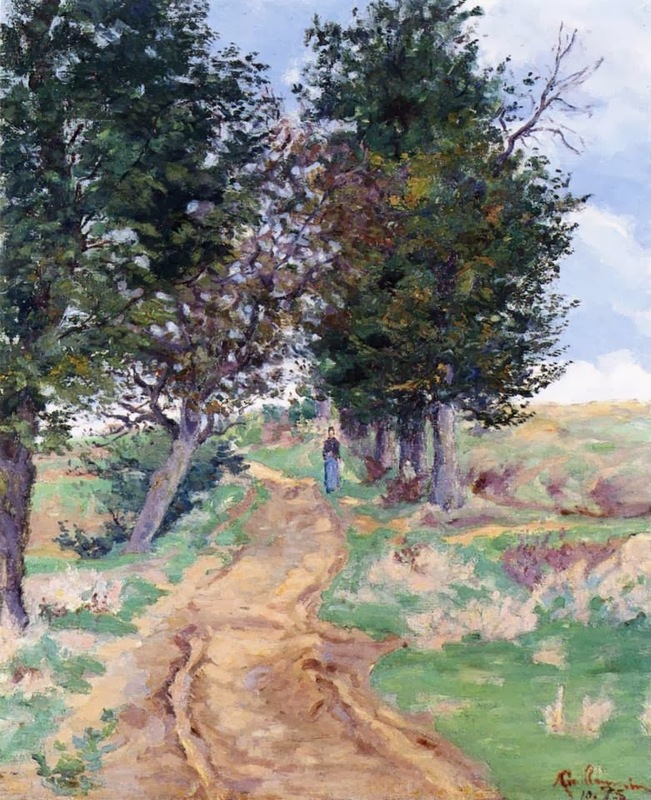 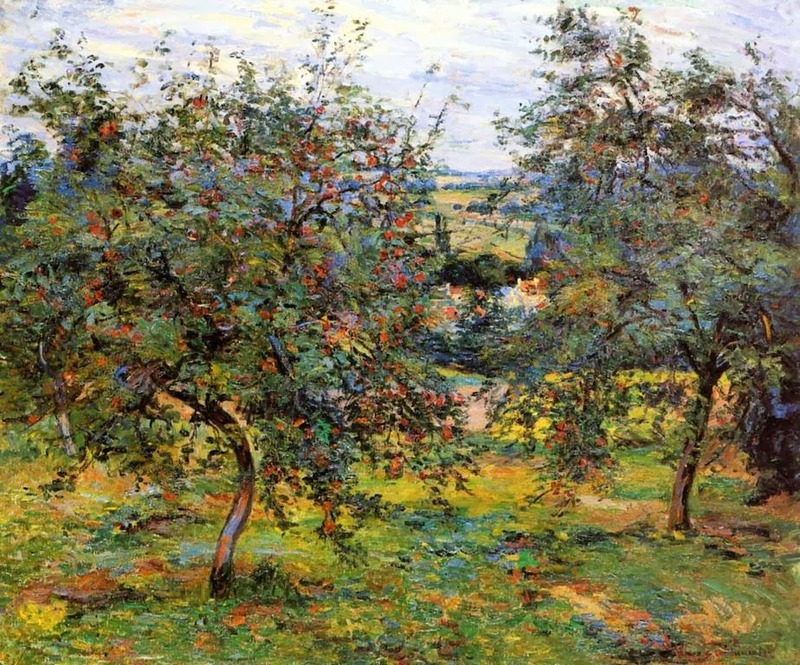 Guillamin was called the leader of the École de Crozant, a diverse group of painters who came to depict the landscape in the region of the Creuse around the village of Crozant. 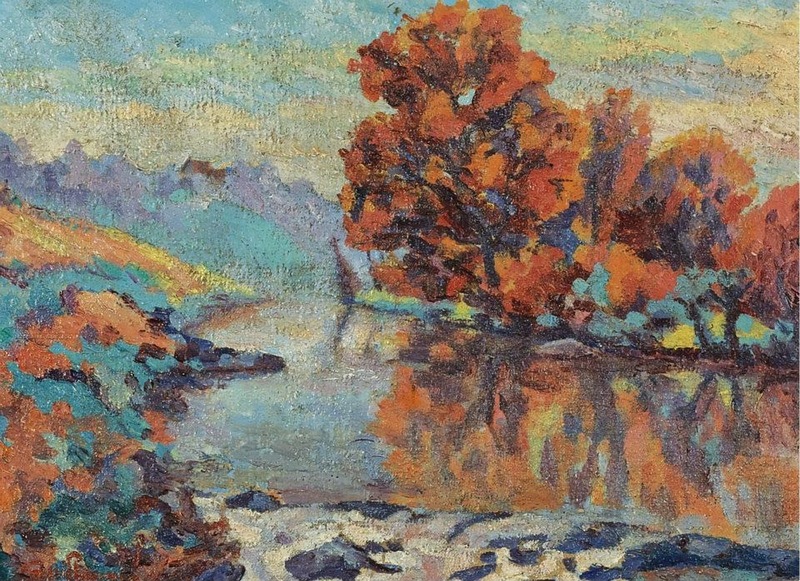 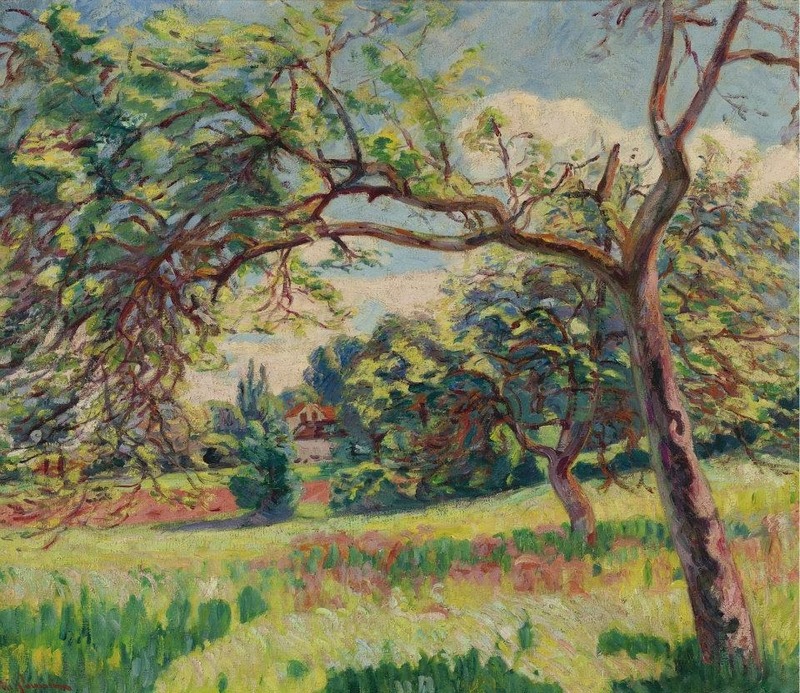 One of these depictions, titled Landscape in Crozant, is housed in the Chicago Institute of Arts. 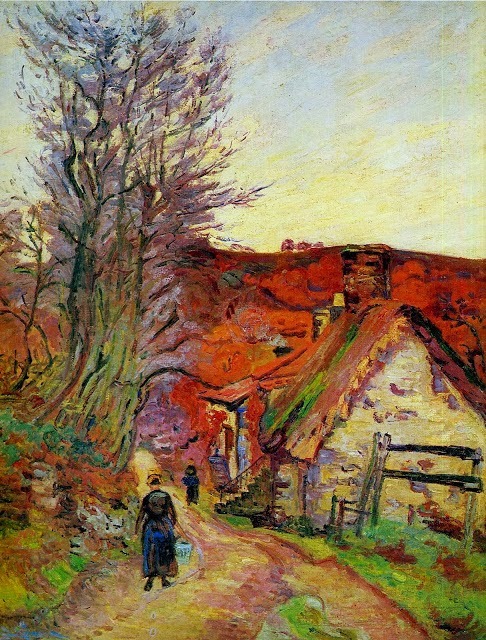 His bust is in the square near the village church. 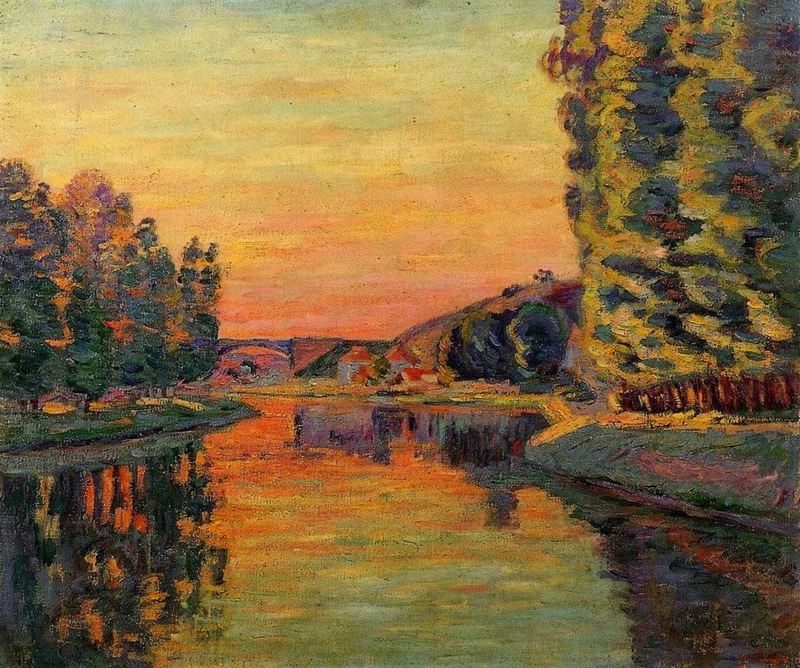 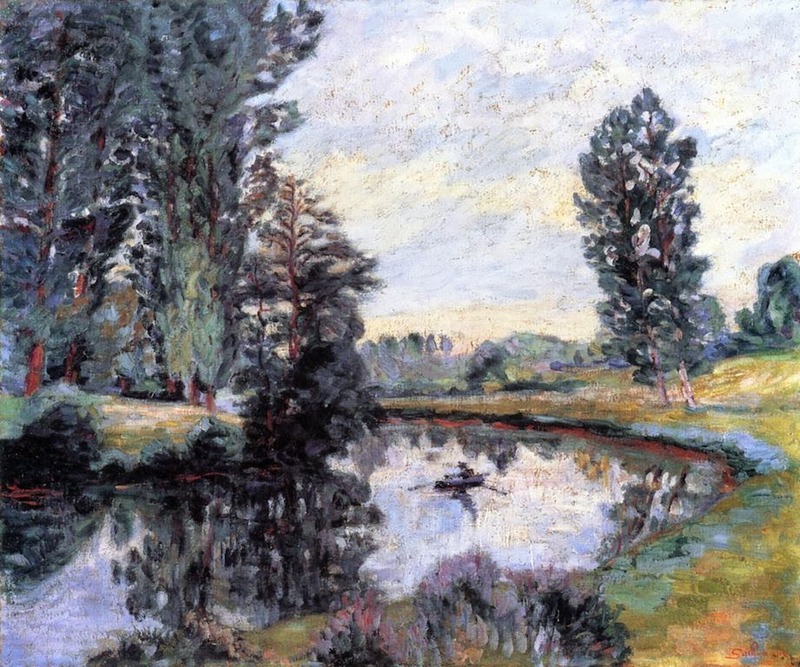 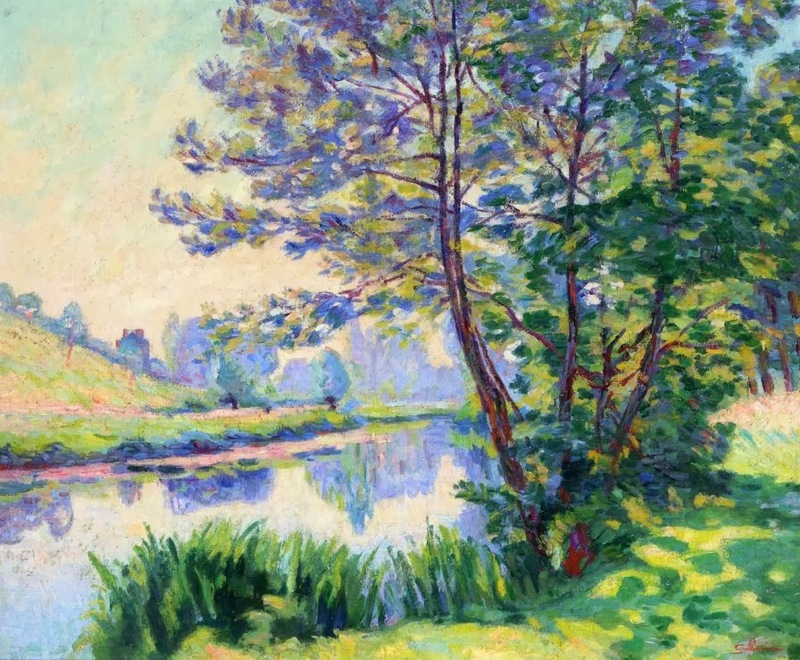 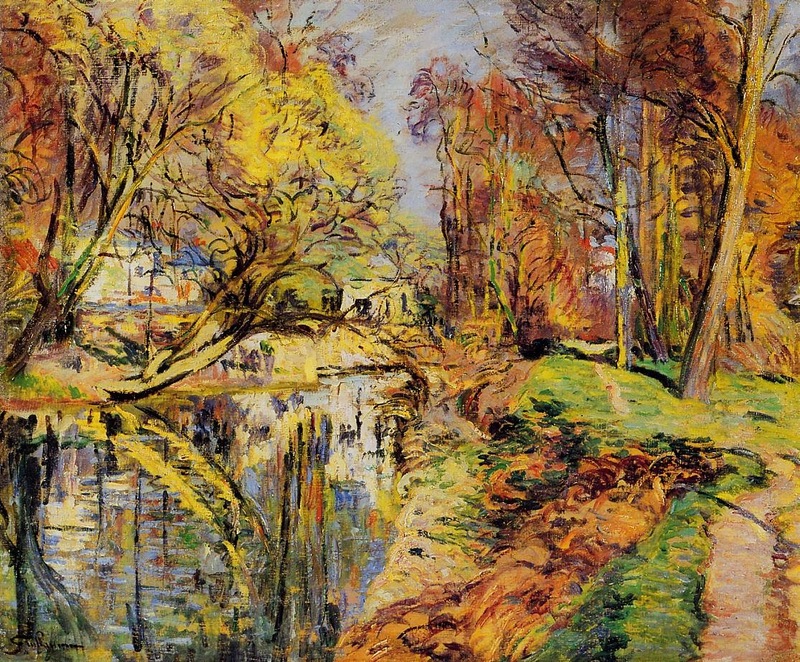 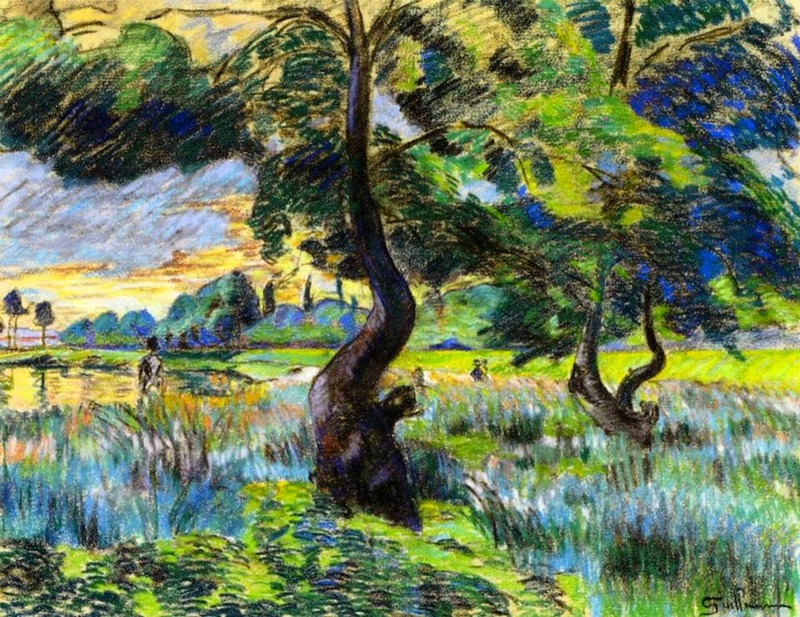 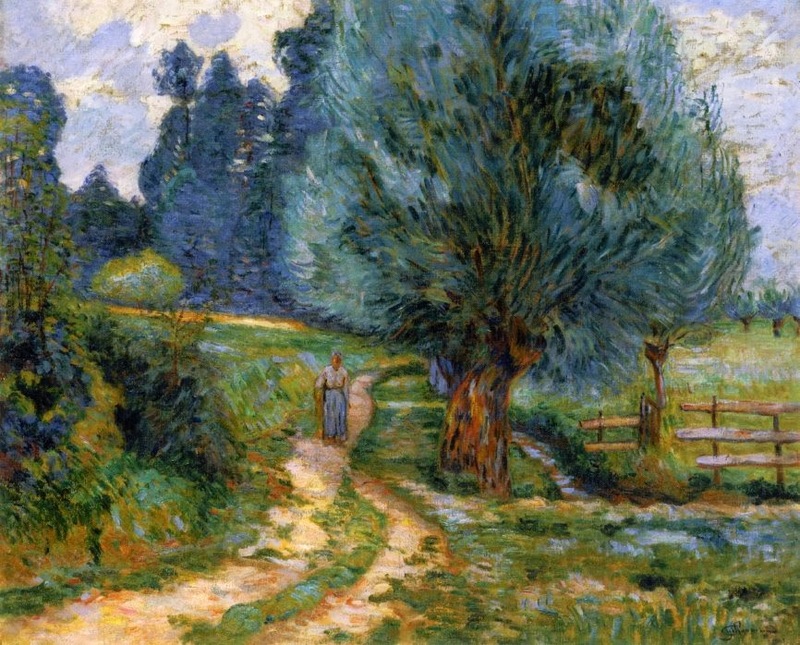 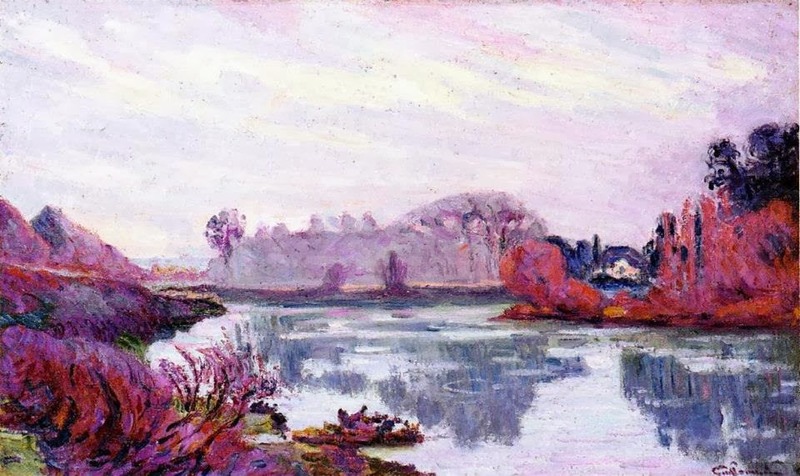 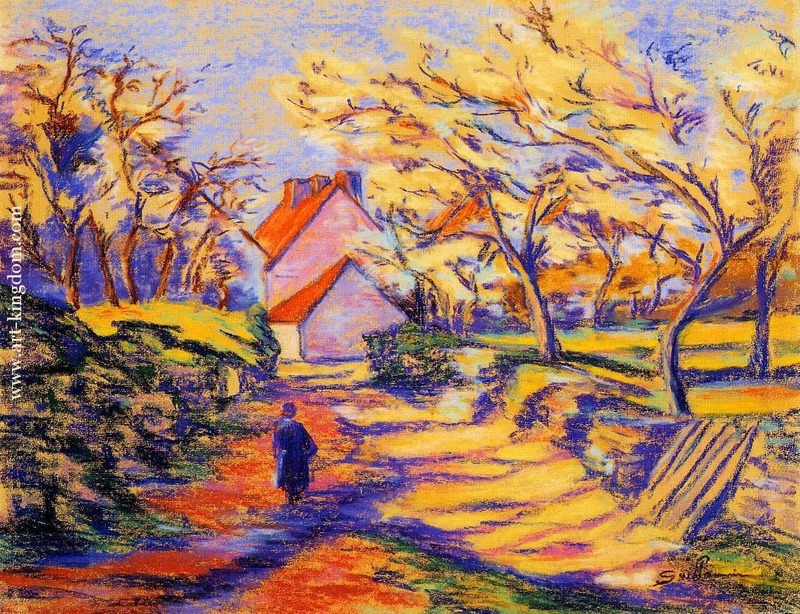 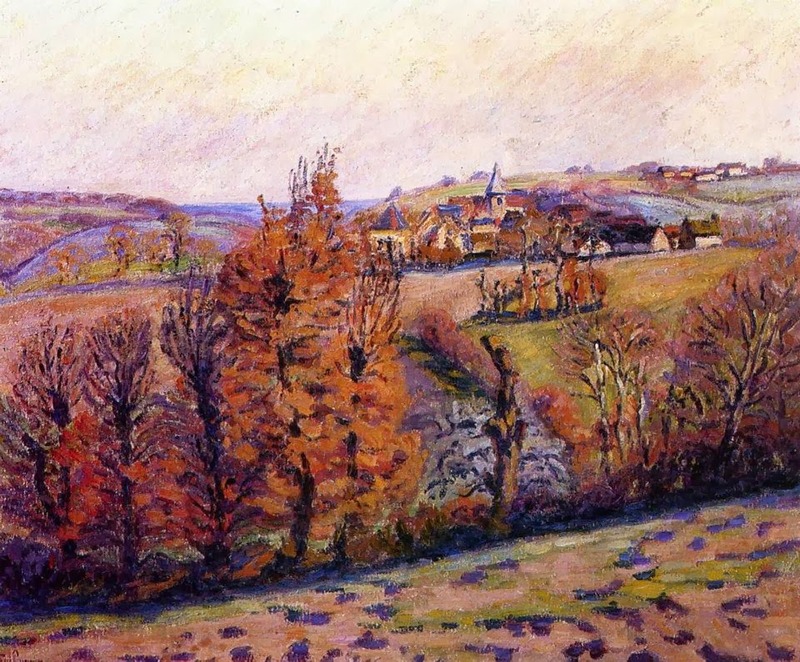 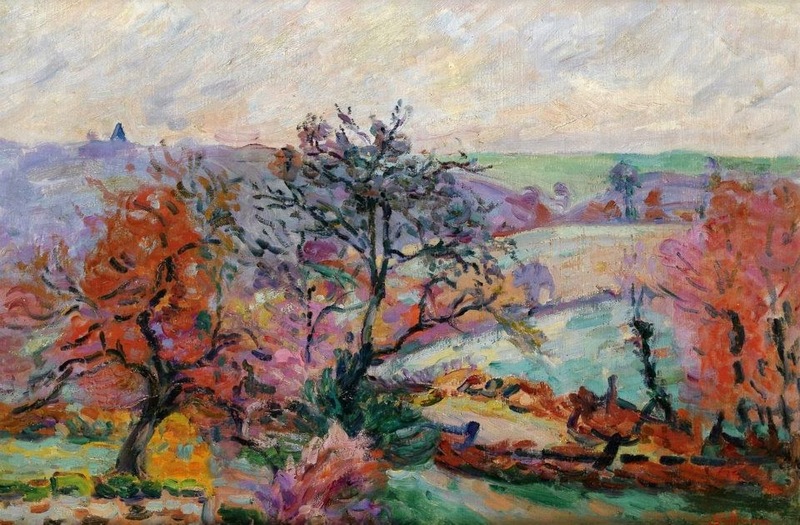 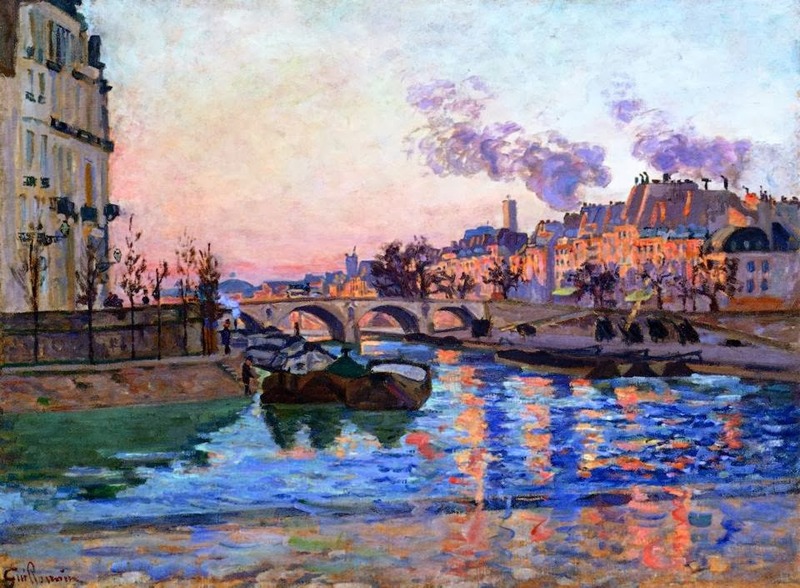 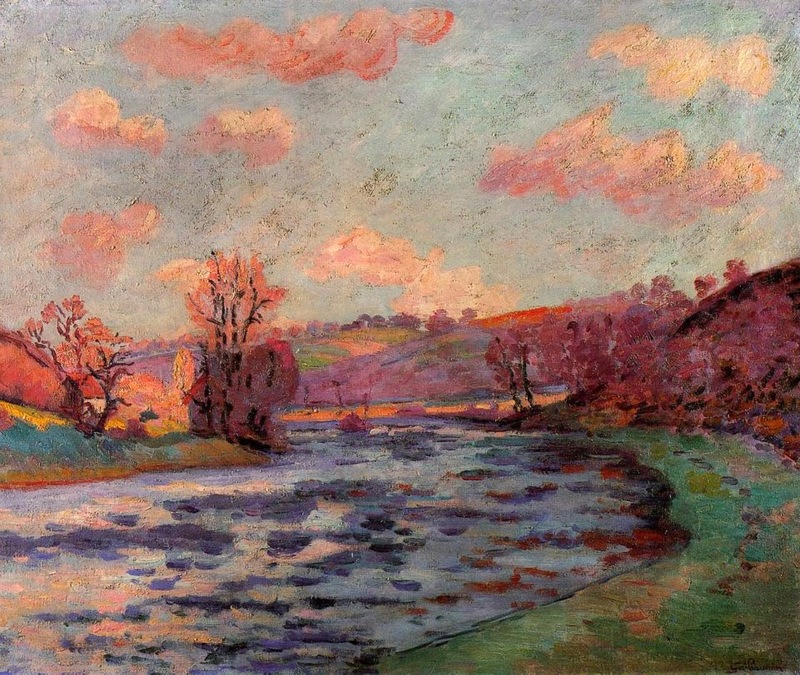 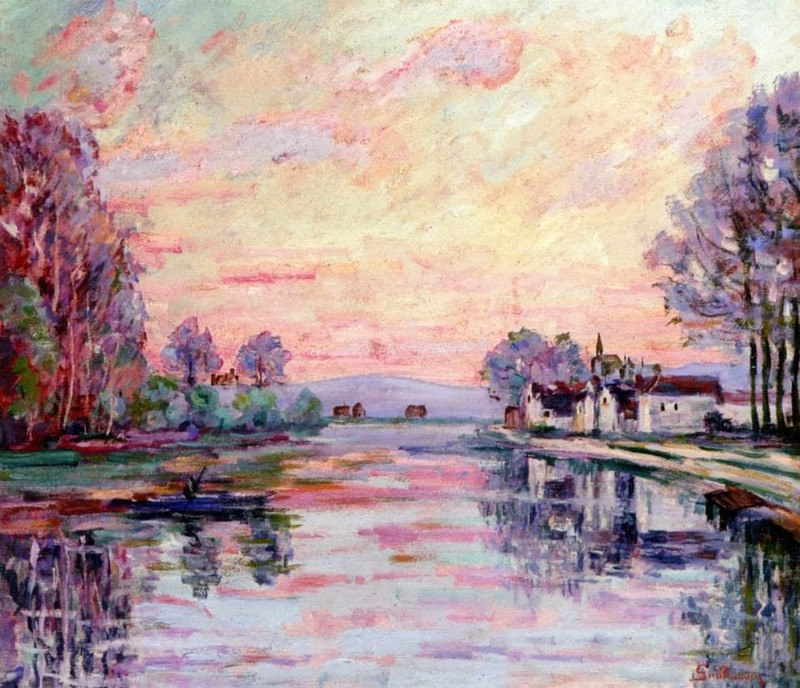 Armand Guillaumin died in 1927 in Orly, Val-de-Marne just south of Paris.